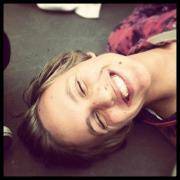 Erik Magnus Rapp was born on July 6, 1996 in Leksand, Sweden, where he lives with his parents and elder sister Elsa. "As long as I can remember I have always loved all music in all ways. When I was 5 I started singing in a choir. One year later I started school. Luckily for me I had a teacher with a great passion for music. I think she made me grow a bigger interest for all ways of expressioning music and not only singing. In second grade it was almost mandatory to play the flute. That was the first time I played an instrument. When the flute lessons were over, there was something missing in my life. I decided to try playing the saxophone and I liked it! I continued playing the saxophone for two years, and then I added another instument, the piano. After two years of regular piano lessons, I knew how to play most of the chords and simple melody playing", tells Erik. "The year 2007 I auditioned for my first singing contest and got to the finals. After that, I started competing at singing contests all over Sweden, not just for competing, but also for having stages to perform at, doing what I love!" He has participated in various talent competitions since 2007. Among them Julias Stjarnskott 2010, Helges Talangjakt 2010 and 2009, Popkorn 2009, Idrestjarnan 2009 and 2008, Rosa Chansen 2009. Erik has also attended Camp Lingman, lead by another hi-profile agents dealing with Junior talent. "At вЂњMy Camp RockвЂќ I learned a lot. For example, acting natural with cameras in your face and answering a journalist's questions properly. After "My Camp Rock" I was asked to join "Helge's Artists". Now Erik works with Helges music studio, that promotes young Swedish artists, lead by Johan Jamtberg. "Since then I have regularly gone to Gavle at various gigs, and to make studio recordings. From the beginning, I sang cover songs, but for about six months ago, I started to write my own music together with Johan"
Among his idols are Oskar Linnros, Veronica Maggio and Daniel Adams-Ray. "My favorite song from Melodifestivalen is probably Loreen's My Heart Is Refusing Me. It is a dance-inspired pop song, that is the style of music I like to do. From my childhood, I always followed the Eurovision Song Contest. I remember that being 9 I was incredibly impressed by Martin Stenmark's Las Vegas", says Erik. 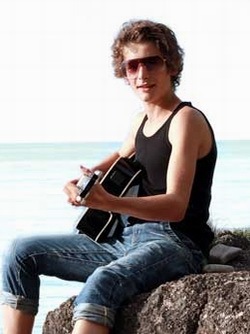 Erik is described as "nice fellow" and it is believed that he has all chances to develop into a professional singer and songwriter. "Faller" (Falling) was produced by Johan Jamtberg and Mikael Gunneras at Helges SРµngstudio. 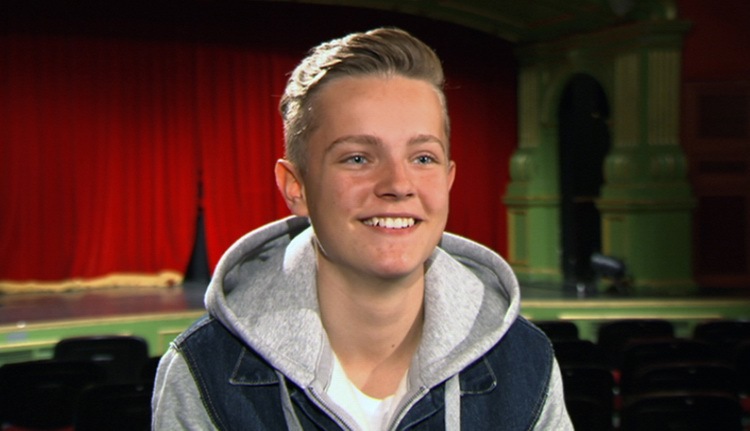 "We wrote a song that suited well Junior Eurovision, and also is modern and fitting my style. It feels great that I got this opportunity and I'm really looking forward going to Armenia", says Erik. Head of Swedish delegation Christer Bjorkman adds: "Erik has written a modern pop song in Swedish that is easy to sing along with. We are very proud that he will represent our country". 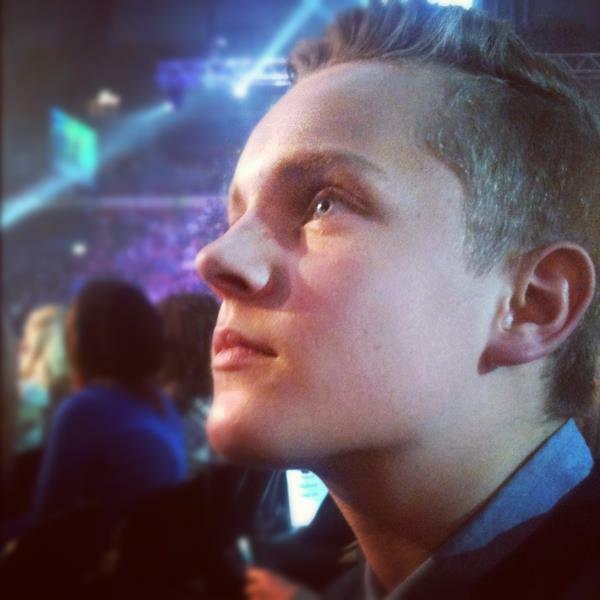 At JESC Erik will be backed by Max Matulessy Gullstrom, Julia Walensteen, Gustaf Groning, Ola Sjoberg and Agnes Berg. Р­СЂРёРє РњР°РіРЅСѓСЃ Р Р°РїРї СЂРѕРґРёР»СЃСЏ 6РіРѕ РёСЋР»СЏ 1996 РіРѕРґР° РІ Р›РµРєСЃР°РЅРґРµ, РЁРІРµС†РёСЏ, РіРґРµ Р¶РёРІРµС‚ СЃРѕ СЃРІРѕРёРјРё СЂРѕРґРёС‚РµР»СЏРјРё Рё СЃС‚Р°СЂС€РµР№ СЃРµСЃС‚СЂРѕР№ Р­Р»СЊР·РѕР№. "РЎРєРѕР»СЊРєРѕ СЏ СЃРµР±СЏ РїРѕРјРЅСЋ - СЏ РІСЃРµРіРґР° Р»СЋР±РёР» РјСѓР·С‹РєСѓ РІРѕ РІСЃРµС… РµРµ РїСЂРѕСЏРІР»РµРЅРёСЏС…. РљРѕРіРґР° РјРЅРµ Р±С‹Р»Рѕ 5 Р»РµС‚, СЏ РЅР°С‡Р°Р» РїРµС‚СЊ РІ С…РѕСЂРµ. Р“РѕРґ СЃРїСѓСЃС‚СЏ СЏ РїРѕС€РµР» РІ С€РєРѕР»Сѓ Рё РјРЅРµ РїРѕРІРµР·Р»Рѕ, С‡С‚Рѕ РјРЅРµ РїРѕРїР°Р»СЃСЏ РїРµРґР°РіРѕРі СЃ С‚Р°РєРѕР№ Р¶Рµ СЃС‚СЂР°СЃС‚СЊСЋ Рє РјСѓР·С‹РєРµ. РЇ РґСѓРјР°СЋ, С‡С‚Рѕ РѕРЅР° РїСЂРѕР±СѓРґРёР»Р° РІРѕ РјРЅРµ РёРЅС‚РµСЂРµСЃ РєРѕ РІСЃРµРј РјСѓР·С‹РєР°Р»СЊРЅС‹Рј РїСЂРѕСЏРІР»РµРЅРёСЏРј, РЅРµ С‚РѕР»СЊРєРѕ Рє РїРµРЅРёСЋ. Р’Рѕ РІС‚РѕСЂРѕРј РєР»Р°СЃСЃРµ Р±С‹Р»Рѕ РїСЂР°РєС‚РёС‡РµСЃРєРё РѕР±СЏР·Р°С‚РµР»СЊРЅРѕ РёРіСЂР°С‚СЊ РЅР° С„Р»РµР№С‚Рµ. РћРЅР° СЃС‚Р°Р»Р° РјРѕРёРј РїРµСЂРІС‹Рј РёРЅСЃС‚СЂСѓРјРµРЅС‚РѕРј. РљРѕРіРґР° СѓСЂРѕРєРё С„Р»РµР№С‚С‹ Р±С‹Р»Рё Р·Р°РєРѕРЅС‡РµРЅС‹, РІ РјРѕРµР№ Р¶РёР·РЅРё СЃС‚Р°Р»Рѕ С‡РµРіРѕ-С‚Рѕ РЅРµС…РІР°С‚Р°С‚СЊ, Рё СЏ СЂРµС€РёР» РЅР°С‡Р°С‚СЊ РёРіСЂР°С‚СЊ РЅР° СЃР°РєСЃРѕС„РѕРЅРµ. РњРЅРµ РѕС‡РµРЅСЊ РїРѕРЅСЂР°РІРёР»РѕСЃСЊ! РЇ РёРіСЂР°Р» РЅР° РЅРµРј РґРІР° РіРѕРґР° Рё Р·Р°С‚РµРј СЏ РґРѕР±Р°РІРёР» РµС‰Рµ РѕРґРёРЅ РёРЅСЃС‚СЂСѓРјРµРЅС‚ - С„РѕСЂС‚РµРїРёР°РЅРѕ. РџРѕСЃР»Рµ 2С… Р»РµС‚ СЂРµРіСѓР»СЏСЂРЅС‹С… Р·Р°РЅСЏС‚РёР№ РЅР° С„РѕСЂС‚РµРїРёР°РЅРѕ, СЏ РЅР°СѓС‡РёР»СЃСЏ РёРіСЂР°С‚СЊ РѕСЃРЅРѕРІРЅС‹Рµ Р°РєРєРѕСЂРґС‹ Рё РїСЂРѕСЃС‚С‹Рµ РјРµР»РѕРґРёРё", СЂР°СЃСЃРєР°Р·С‹РІР°РµС‚ Р­СЂРёРє. "Р’ 2007 РіРѕРґСѓ СЏ РїСЂРёРЅСЏР» СѓС‡Р°СЃС‚РёРµ РІ РїРµСЂРІРѕРј РїСЂРѕСЃР»СѓС€РёРІР°РЅРёРё РЅР° РїРµСЃРµРЅРЅС‹Р№ РєРѕРЅРєСѓСЂСЃ Рё РІС‹С€РµР» РІ С„РёРЅР°Р». РџРѕСЃР»Рµ СЌС‚РѕРіРѕ СЏ СЃС‚Р°Р» СѓС‡Р°СЃС‚РІРѕРІР°С‚СЊ РІ РєРѕРЅРєСѓСЂСЃР°С… РїРѕ РІСЃРµР№ РЁРІРµС†РёРё, РЅРµ СЂР°РґРё СЃРѕСЂРµРІРЅРѕРІР°РЅРёСЏ, Р° РїСЂРѕСЃС‚Рѕ С‡С‚РѕР±С‹ РїРѕР»СѓС‡РёС‚СЊ РІРѕР·РјРѕР¶РЅРѕСЃС‚СЊ РґР»СЏ РІС‹СЃС‚СѓРїР»РµРЅРёСЏ РЅР° СЃС†РµРЅРµ, С‡С‚Рѕ СЏ РѕР±РѕР¶Р°СЋ!" Р­СЂРёРє РїСЂРёРЅРёРјР°Р» СѓС‡Р°СЃС‚РёРµ РІ СЂР°Р·Р»РёС‡РЅС‹С… РјСѓР·С‹РєР°Р»СЊРЅС‹С… РєРѕРЅРєСѓСЂСЃР°С…, СЃСЂРµРґРё РЅРёС… - Julias Stjarnskott 2010, Helges Talangjakt 2010 Рё 2009, Popkorn 2009, Idrestjarnan 2009 Рё 2008, Rosa Chansen 2009. Р­СЂРёРє С‚Р°РєР¶Рµ Р·Р°РЅРёРјР°Р»СЃСЏ РІ Camp Lingman, С‚СЂРµРЅРёСЂРѕРІРѕС‡РЅРѕРј Р»Р°РіРµСЂРµ РµС‰Рµ РѕРґРЅРѕР№ РіСЂСѓРїРїС‹ Р°РіРµРЅС‚РѕРІ, СЂР°Р±РѕС‚Р°СЋС‰РёС… СЃ СЋРЅС‹РјРё РґР°СЂРѕРІР°РЅРёСЏРјРё. "Р’ "My Camp Rock" СЏ РјРЅРѕРіРѕРјСѓ РЅР°СѓС‡РёР»СЃСЏ, РЅР°РїСЂРёРјРµСЂ СЂР°Р±РѕС‚Р°С‚СЊ РЅР° РєР°РјРµСЂСѓ, Рё РїСЂР°РІРёР»СЊРЅРѕ РѕС‚РІРµС‡Р°С‚СЊ РЅР° РІРѕРїСЂРѕСЃС‹ Р¶СѓСЂРЅР°Р»РёСЃС‚РѕРІ. РџРѕСЃР»Рµ СЌС‚РѕРіРѕ Р»Р°РіРµСЂСЏ РјРµРЅСЏ РїРѕР·РІР°Р»Рё РїСЂРёСЃРѕРµРґРёРЅРёС‚СЊСЃСЏ Рє Helges". РЎРµР№С‡Р°СЃ Р­СЂРёРє СЂР°Р±РѕС‚Р°РµС‚ СЃ РјСѓР·С‹РєР°Р»СЊРЅРѕР№ СЃС‚СѓРґРёРµР№ Helges, РІРѕ РіР»Р°РІРµ СЃ Р™РѕС…Р°РЅРѕРј РЇРјС‚Р±РµСЂРіРѕРј, РєРѕС‚РѕСЂР°СЏ Р·Р°РЅРёРјР°РµС‚СЃСЏ РїСЂРѕРґРІРёР¶РµРЅРёРµРј РјРѕР»РѕРґС‹С… С‚Р°Р»Р°РЅС‚Р»РёРІС‹С… РёСЃРїРѕР»РЅРёС‚РµР»РµР№. "РЎ С‚РѕРіРѕ РјРѕРјРµРЅС‚Р° СЏ СЂРµРіСѓР»СЏСЂРЅРѕ РїСЂРёРЅРёРјР°СЋ СѓС‡Р°СЃС‚РёРµ РІ СЂР°Р·Р»РёС‡РЅС‹С… РєРѕРЅС†РµСЂС‚Р°С… РІ Р•РІР»Рµ, Рё Р·Р°РїРёСЃС‹РІР°СЋСЃСЊ РЅР° СЃС‚СѓРґРёРё. РџРµСЂРІРѕРЅР°С‡Р°Р»СЊРЅРѕ СЏ РїРµР» РєР°РІРµСЂ-РІРµСЂСЃРёРё, РЅРѕ РІ РїРѕСЃР»РµРґРЅРёРµ 6 РјРµСЃСЏС†РµРІ СЏ РЅР°С‡Р°Р» СЃР°Рј РїРёСЃР°С‚СЊ РјСѓР·С‹РєСѓ РІРјРµСЃС‚Рµ СЃ Р™РѕС…Р°РЅРѕРј. РЎСЂРµРґРё РєСѓРјРёСЂРѕРІ Р­СЂРёРєР° РћСЃРєР°СЂ Р›РёРЅРЅСЂРѕСЃ, Р’РµСЂРѕРЅРёРєР° РњР°РґР¶РёРѕ Рё Р”Р°РЅРёРµР»СЊ РђРґР°РјСЃ-Р СЌР№. "РњРѕСЏ Р»СЋР±РёРјР°СЏ РїРµСЃРЅСЏ РњРµР»РѕРґРёС„РµСЃС‚РёРІР°Р»РµРЅР° - СЌС‚Рѕ РЅР°РІРµСЂРЅРѕРµ My Heart Is Refusing Me Р›РѕСЂРёРЅ. Р­С‚Рѕ С‚Р°РЅС†РµРІР°Р»СЊРЅР°СЏ РїРѕРї-РїРµСЃРЅСЏ, Рё РёРјРµРЅРЅРѕ РІ С‚Р°РєРѕРј СЃС‚РёР»Рµ РјРЅРµ РЅСЂР°РІРёС‚СЃСЏ СЂР°Р±РѕС‚Р°С‚СЊ. РЎ РґРµС‚СЃС‚РІР° СЏ СЃР»РµР¶Сѓ Р·Р° РєРѕРЅРєСѓСЂСЃРѕРј Р•РІСЂРѕРІРёРґРµРЅРёРµ Рё РїРѕРјРЅСЋ, РєР°Рє РІ 9 Р»РµС‚, Р±С‹Р» РѕС‡РµРЅСЊ РІРїРµС‡Р°С‚Р»РµРЅ РІС‹СЃС‚СѓРїР»РµРЅРёРµРј РњР°СЂС‚РёРЅР° РЎС‚РµРЅРјР°СЂРєР° СЃ РїРµСЃРЅРµР№ Las Vegas", СЂР°СЃСЃРєР°Р·С‹РІР°РµС‚ Р­СЂРёРє. Р­СЂРёРєР° РѕРїРёСЃС‹РІР°СЋС‚ РєР°Рє "СЂСѓР±Р°С…Сѓ-РїР°СЂРЅСЏ" Рё РїРѕР»Р°РіР°СЋС‚, С‡С‚Рѕ Сѓ РЅРµРіРѕ РµСЃС‚СЊ РІСЃРµ С€Р°РЅСЃС‹ СЃС‚Р°С‚СЊ РІ Р±СѓРґСѓС‰РµРј РїСЂРѕС„РµСЃСЃРёРѕРЅР°Р»СЊРЅС‹Рј РїРµРІС†РѕРј Рё Р°РІС‚РѕСЂРѕРј РїРµСЃРµРЅ. "Faller" СЃРїСЂРѕРґСЋСЃРёСЂРѕРІР°Р»Рё Р™РѕС…Р°РЅ РЇРјС‚Р±РµСЂРі Рё РњРёРєР°РµР»СЊ Р“СѓРЅРЅРµСЂР°СЃ РІ Helges SРµngstudio. "РњС‹ РЅР°РїРёСЃР°Р»Рё РїРµСЃРЅСЋ, РєРѕС‚РѕСЂР°СЏ РїРѕРґС…РѕРґРёС‚ Р”РµС‚СЃРєРѕРјСѓ Р•РІСЂРѕРІРёРґРµРЅРёСЋ, Р° С‚Р°РєР¶Рµ СЏРІР»СЏРµС‚СЃСЏ СЃРѕРІСЂРµРјРµРЅРЅРѕР№ Рё СЃРѕРѕС‚РІРµС‚СЃС‚РІСѓРµС‚ РјРѕРµРјСѓ СЃС‚РёР»СЋ. Р­С‚Рѕ РїСЂРµРєСЂР°СЃРЅРѕ, С‡С‚Рѕ РјРЅРµ РїСЂРµРґРѕСЃС‚Р°РІРёР»Р°СЃСЊ С‚Р°РєР°СЏ РІРѕР·РјРѕР¶РЅРѕСЃС‚СЊ Рё СЏ СЃ РЅРµС‚РµСЂРїРµРЅРёРµРј Р¶РґСѓ РїРѕРµР·РґРєРё РІ РђСЂРјРµРЅРёСЋ", РіРѕРІРѕСЂРёС‚ Р­СЂРёРє. Р“Р»Р°РІР° РґРµР»РµРіР°С†РёРё РЁРІРµС†РёРё РљСЂРёСЃС‚РµСЂ Р‘СЊРѕСЂРєРјР°РЅ РґРѕР±Р°РІР»СЏРµС‚: "Р­СЂРёРє РЅР°РїРёСЃР°Р» СЃРѕРІСЂРµРјРµРЅРЅСѓСЋ РїРѕРї-РїРµСЃРЅСЋ РЅР° С€РІРµРґСЃРєРѕРј, РєРѕС‚РѕСЂРѕР№ РѕС‡РµРЅСЊ Р»РµРіРєРѕ РїРѕРґРїРµРІР°С‚СЊ. РњС‹ РІСЃРµ РіРѕСЂРґРёРјСЃСЏ С‚РµРј, С‡С‚Рѕ РѕРЅ РїСЂРµРґСЃС‚Р°РІРёС‚ РЅР°С€Сѓ СЃС‚СЂР°РЅСѓ". РќР° СЃС†РµРЅРµ СЃ Р­СЂРёРєРѕРј РІС‹СЃС‚СѓРїСЏС‚ Max Matulessy Gullstrom, Julia Walensteen, Gustaf Groning, Ola Sjoberg Рё Agnes Berg. Du vet vГ¤l att jag faller. -Hello, Erik, and first of all our congratulations for winning Swedish national selection! When you were informed that youвЂ™re the winner of the competition and what were your first thoughts about that? - Of course, I was very surprised and I still don't really understand that I won. I'm very happy for the victory and I'm really looking forward to competing in Armenia! - I'm a very happy and positive person who likes to hang out with my friends and make my own music. - Can you tell us about the story of the song creation? Who has helped you with it? - I have regular meetings with a singer/songwriter, who is also my voice coach. He helped me through the entire process. It took about a month to make the song (from scratch to final mix). -What is the song message? - To not give up. Because something good is worth fighting for! - My vocal coach's name is Johan Jamtberg. He is an amazing man who has helped me a lot with my voice and with my career. My choreographer's name is Tine. I have only met her a few times so far, but she is a very nice person and she's a very good choreographer! - How will you visually present your entry on stage? - It will be a number loaded with energy and I will be all over the stage trying to get everyone in вЂњthe party moodвЂќ! - If you will have backing singers or dancers, can you please introduce them? - I ain't got the names of any of them, but they come from a dancing/singing school in Stockholm, called Kulturama. - You have filmed a music video for your song, can you please tell more about it? 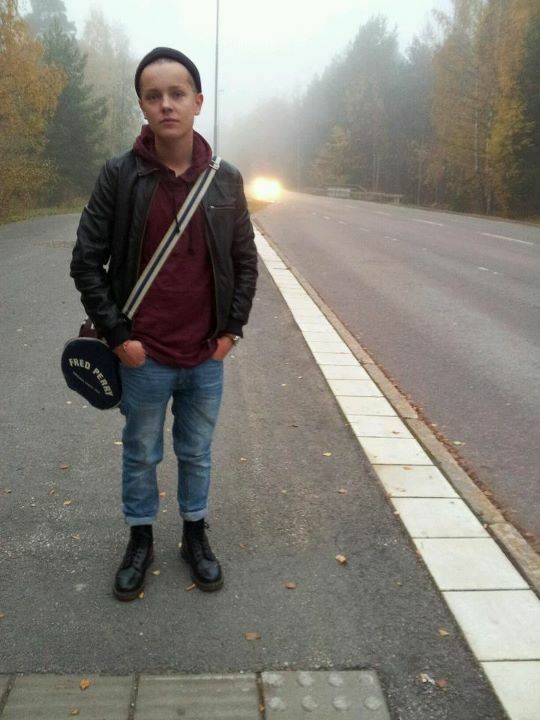 - I filmed the music video of the song at Grona Lund. It was the first time I filmed the music video with only me in it. It was good fun and a great experience! - There's a lot of things that I have to do before I go to Armenia but the most important for me is probably rehearsal. Where going to make a few minor changes to the song aswell. - How youвЂ™ve started with the music, do you come from a musical family? - I don't come from a musical family. None of my parents can sing. My interest for music has been huge since I was a little boy and has grown more and more each and every year. - I go to school from 8am to 4pm and after that I hang out with friends for a while. I come home around 7pm and then I study or sing/make music. - Of course I am away from school a few days every month, which affects my situation at school. I have to study a few more hours a week after I've been away but I think that it works and that it's worth it! - My favorite school subjects are probably all languages and biology. - Have you received any advices already from your family and relatives for your travel to Yerevan? - They haven't said anything except that they think that I should see it all as an experience and that it shall be fun! - Have you been watching the show in the past, do you have any favourite entries from the past years of the JESC? - I have watched the competition every year since I remember. My favourite entry is Mimmi Sanden's song вЂњDuвЂќ. I think that's an amazing and modern song! - Are you interested to find who will represent other countries in competition, will you listen to the other competing entries prior to departure to Yerevan? - I'm very excited to see the other contestants entries and I have watched a few of the other songs. - I'm hoping to have a real good time make new friends. The result in the competition really doesn't matter. I have come so for already that I don't really care! - Do you like contests and to compete in general? What is most memorable contest you took part in? - Sometimes, it's fun competing but I like to just do thing for fun. My most memorable contest is the first singing contest that I won. That was probably one of the best days of my life! - Are you performing many original songs, what is your regular repertoire made of? - I sing covers almost all the time, but I'm working on originals. - What music do you typically like listening to? Who are your favourite local and international singers? - I listen to all types of music. From classical music to hard rock. My favourite swedish singers are Veronica Maggio and Oskar Linnros. My favourite international singers are Lady Gaga and Usher. -What are your plans after the contest? Do you want to become professional singer in future? - I will take things as they come, but I plan to finish school before I begin my career. I want to be a professional singer but right now my top priority is my education! - I hope that you'll like my song and that you'll vote with your heart! - Thanks for the interview and see you in Yerevan! - РџСЂРёРІРµС‚, Р­СЂРёРє, Рё РІ РїРµСЂРІСѓСЋ РѕС‡РµСЂРµРґСЊ РЅР°С€Рё РїРѕР·РґСЂР°РІР»РµРЅРёСЏ СЃ РїРѕР±РµРґРѕР№ РЅР° С€РІРµРґСЃРєРѕРј РЅР°С†РёРѕРЅР°Р»СЊРЅРѕРј РѕС‚Р±РѕСЂРµ! РљР°РєРёРјРё Р±С‹Р»Рё С‚РІРѕРё РїРµСЂРІС‹Рµ РјС‹СЃР»Рё, РєРѕРіРґР° С‚С‹ СѓР·РЅР°Р», С‡С‚Рѕ СЃС‚Р°Р» РїРѕР±РµРґРёС‚РµР»РµРј РєРѕРЅРєСѓСЂСЃР°? - РЇ Р±С‹Р» РѕС‡РµРЅСЊ СѓРґРёРІР»РµРЅ, Рё СЏ РґРѕ СЃРёС… РїРѕСЂ РЅРµ СЃРѕРІСЃРµРј РѕСЃРѕР·РЅР°СЋ, С‡С‚Рѕ СЏ РґРµР№СЃС‚РІРёС‚РµР»СЊРЅРѕ РїРѕР±РµРґРёР». РЇ РѕС‡РµРЅСЊ РґРѕРІРѕР»РµРЅ СЃРІРѕРµР№ РїРѕР±РµРґРѕР№ Рё СЃ РЅРµС‚РµСЂРїРµРЅРёРµРј Р¶РґСѓ СѓС‡Р°СЃС‚РёСЏ РІ РєРѕРЅРєСѓСЂСЃРµ РІ РђСЂРјРµРЅРёРё! - РџСЂРµРґСЃС‚Р°РІСЊ СЃРµР±СЏ, РїРѕР¶Р°Р»СѓР№СЃС‚Р°, РІ РѕРґРЅРѕРј РїСЂРµРґР»РѕР¶РµРЅРёРё? - РЇ РѕС‡РµРЅСЊ СЃС‡Р°СЃС‚Р»РёРІС‹Р№ Рё РїРѕР·РёС‚РёРІРЅС‹Р№ С‡РµР»РѕРІРµРє, РєРѕС‚РѕСЂС‹Р№ Р»СЋР±РёС‚ РїСЂРѕРІРѕРґРёС‚СЊ РІСЂРµРјСЏ СЃ РґСЂСѓР·СЊСЏРјРё Рё С‚РІРѕСЂРёС‚СЊ СЃРѕР±СЃС‚РІРµРЅРЅСѓСЋ РјСѓР·С‹РєСѓ. - РњРѕР¶РµС€СЊ Р»Рё С‚С‹ СЂР°СЃСЃРєР°Р·Р°С‚СЊ РЅР°Рј РѕР± РёСЃС‚РѕСЂРёРё СЃРѕР·РґР°РЅРёСЏ РїРµСЃРЅРё? РљС‚Рѕ РїРѕРјРѕРі С‚РµР±Рµ СЃ РЅРµР№? - РњС‹ СЂРµРіСѓР»СЏСЂРЅРѕ РїСЂРѕРІРѕРґРёРј РІСЃС‚СЂРµС‡Рё СЃ РїРµРІС†РѕРј Рё РёСЃРїРѕР»РЅРёС‚РµР»РµРј, РєРѕС‚РѕСЂС‹Р№ РїРѕ СЃРѕРІРјРµСЃС‚РёС‚РµР»СЊСЃС‚РІСѓ СЏРІР»СЏРµС‚СЃСЏ Рё РјРѕРёРј РїРµРґР°РіРѕРіРѕРј РїРѕ РІРѕРєР°Р»Сѓ. РћРЅ РїРѕРјРѕРіР°Р» РјРЅРµ РЅР° РєР°Р¶РґРѕР№ СЃС‚Р°РґРёРё РїСЂРѕС†РµСЃСЃР°. Р’СЃРµРіРѕ СЃРѕР·РґР°РЅРёРµ РїРµСЃРЅРё Р·Р°РЅСЏР»Рѕ РѕРєРѕР»Рѕ РјРµСЃСЏС†Р° (СЃ РЅСѓР»СЏ РґРѕ С„РёРЅР°Р»СЊРЅРѕРіРѕ РјРёРєСЃР°). - РљР°РєРѕР№ РјРµСЃСЃРµРґР¶ Сѓ С‚РІРѕРµР№ РїРµСЃРЅРё? - РќРёРєРѕРіРґР° РЅРµ СЃРґР°РІР°С‚СЊСЃСЏ! РџРѕС‚РѕРјСѓ С‡С‚Рѕ РµСЃС‚СЊ С…РѕСЂРѕС€РёРµ РІРµС‰Рё Р·Р° РєРѕС‚РѕСЂС‹Рµ СЃС‚РѕРёС‚ Р±РѕСЂРѕС‚СЊСЃСЏ! - РљС‚Рѕ С‚РІРѕР№ РїРµРґР°РіРѕРі РїРѕ РІРѕРєР°Р»Сѓ Рё С…РѕСЂРµРѕРіСЂР°С„ С‚РІРѕРµР№ РїРµСЃРЅРё? - РњРѕР№ РїРµРґР°РіРѕРі РїРѕ РІРѕРєР°Р»Сѓ - Р™РѕС…Р°РЅ РЇРјС‚Р±РµСЂРі. РћРЅ РїРѕС‚СЂСЏСЃР°СЋС‰РёР№ С‡РµР»РѕРІРµРє, РєРѕС‚РѕСЂС‹Р№ РѕС‡РµРЅСЊ РјРЅРѕРіРѕ РїРѕРјРѕРі РІ СЂР°Р·РІРёС‚РёРё РјРѕРµРіРѕ РіРѕР»РѕСЃР° Рё РІСЃРµР№ РјРѕРµР№ РєР°СЂСЊРµСЂС‹. РњРѕРµРіРѕ С…РѕСЂРµРѕРіСЂР°С„Р° Р·РѕРІСѓС‚ РўРёРЅРµ. РџСЂР°РІРґР° СЏ РІСЃС‚СЂРµС‡Р°Р»СЃСЏ СЃ РЅРµР№ РІСЃРµРіРѕ РЅРµСЃРєРѕР»СЊРєРѕ СЂР°Р·, РЅРѕ РѕРЅР° РѕС‡РµРЅСЊ РїСЂРёСЏС‚РЅС‹Р№ С‡РµР»РѕРІРµРє Рё, РєРѕРЅРµС‡РЅРѕ Р¶Рµ, РѕС‡РµРЅСЊ С…РѕСЂРѕС€РёР№ С…РѕСЂРµРѕРіСЂР°С„! - РљР°Рє С‚С‹ Р±СѓРґРµС€СЊ РІРёР·СѓР°Р»СЊРЅРѕ РїСЂРµРґСЃС‚Р°РІР»СЏС‚СЊ СЃРІРѕСЋ РїРµСЃРЅСЋ РЅР° СЃС†РµРЅРµ? - Р­С‚Рѕ Р±СѓРґРµС‚ РЅРѕРјРµСЂ, РЅР°РїРѕР»РЅРµРЅРЅС‹Р№ СЌРЅРµСЂРіРёРµР№ Рё СЏ Р±СѓРґСѓ РѕС‡РµРЅСЊ Р°РєС‚РёРІРЅРѕ РґРІРёРіР°С‚СЊСЃСЏ РїРѕ СЃС†РµРЅРµ, РїС‹С‚Р°СЏСЃСЊ Р·Р°РІРµСЃС‚Рё РІСЃРµС… РІ "С‚СѓСЃРѕРІРѕС‡РЅРѕРµ РЅР°СЃС‚СЂРѕРµРЅРёРµ"! - Р•СЃР»Рё Сѓ С‚РµР±СЏ Р±СѓРґСѓС‚ Р±СЌРє-РІРѕРєР°Р»РёСЃС‚С‹ Рё С‚Р°РЅС†РѕСЂС‹, РјРѕРі Р±С‹ С‚С‹ РёС… РїСЂРµРґСЃС‚Р°РІРёС‚СЊ? - Р§РµСЃС‚РЅРѕ РіРѕРІРѕСЂСЏ, СЏ РЅРµ Р·РЅР°СЋ РёС… РёРјРµРЅ, РЅРѕ Р·РЅР°СЋ, С‡С‚Рѕ РѕРЅРё Р±СѓРґСѓС‚ РёР· С‚Р°РЅС†РµРІР°Р»СЊРЅРѕ-РІРѕРєР°Р»СЊРЅРѕР№ С€РєРѕР»С‹ Kulturama РІ РЎС‚РѕРєРіРѕР»СЊРјРµ. - Р’С‹ СЃРЅСЏР»Рё РІРёРґРµРѕРєР»РёРї РЅР° РїРµСЃРЅСЋ, РјРѕР¶РµС€СЊ СЂР°СЃСЃРєР°Р·Р°С‚СЊ Рѕ РЅРµРј? - Р”Р°, РІРёРґРµРѕРєР»РёРї СЏ СЃРЅРёРјР°Р» РІ РїР°СЂРєРµ СЂР°Р·РІР»РµС‡РµРЅРёР№ Grona Lund. Р­С‚Рѕ РїРµСЂРІС‹Р№ РІРёРґРµРѕРєР»РёРї, РІ РєРѕС‚РѕСЂРѕРј СЃРѕР»РёСЂСѓСЋ СЏ РѕРґРёРЅ. Р­С‚Рѕ Р±С‹Р»Рѕ РѕС‡РµРЅСЊ РІРµСЃРµР»Рѕ Рё СЌС‚Рѕ РїРѕС‚СЂСЏСЃР°СЋС‰РёР№ РѕРїС‹С‚! - РњРЅРµ РµС‰Рµ РѕС‡РµРЅСЊ РјРЅРѕРіРѕ РЅР°РґРѕ СЃРґРµР»Р°С‚СЊ РїРµСЂРµРґ РїРѕРµР·РґРєРѕР№ РІ РђСЂРјРµРЅРёСЋ, РЅРѕ СЃР°РјРѕРµ РІР°Р¶РЅРѕРµ РґР»СЏ РјРµРЅСЏ, РІРµСЂРѕСЏС‚РЅРѕ СЂРµРїРµС‚РёС†РёРё. РњС‹ С‚Р°РєР¶Рµ РІРЅРµСЃРµРј РЅРµСЃРєРѕР»СЊРєРѕ РЅРµР±РѕР»СЊС€РёС… РёР·РјРµРЅРµРЅРёР№ РІ СЃР°РјСѓ РїРµСЃРЅСЋ. - РљР°Рє С‚С‹ РЅР°С‡Р°Р» РІ РјСѓР·С‹РєРµ, С‚С‹ СЂРѕРґРѕРј РёР· РјСѓР·С‹РєР°Р»СЊРЅРѕР№ СЃРµРјСЊРё? - РЇ РЅРµ РёР· РјСѓР·С‹РєР°Р»СЊРЅРѕР№ СЃРµРјСЊРё. РњРѕРё СЂРѕРґРёС‚РµР»Рё РЅРµ СѓРјРµСЋС‚ РїРµС‚СЊ. РњРѕР№ РёРЅС‚РµСЂРµСЃ Рє РјСѓР·С‹РєРµ РїРѕСЏРІРёР»СЃСЏ РµС‰Рµ РІ СЂР°РЅРЅРµРј РґРµС‚СЃС‚РІРµ Рё СЂРѕСЃ СЃ РєР°Р¶РґС‹Рј РіРѕРґРѕРј. - РњРѕР¶РµС€СЊ Р»Рё С‚С‹ СЂР°СЃСЃРєР°Р·Р°С‚СЊ РЅР°Рј, РєР°Рє РІС‹РіР»СЏРґРёС‚ С‚РІРѕР№ РѕР±С‹С‡РЅС‹Р№ РґРµРЅСЊ? Р§РµРј С‚С‹ РѕР±С‹С‡РЅРѕ Р·Р°РЅРёРјР°РµС€СЊСЃСЏ? - РЇ С…РѕР¶Сѓ РІ С€РєРѕР»Сѓ СЃ 8 СѓС‚СЂР° РґРѕ 4С… С‡Р°СЃРѕРІ, РїРѕС‚РѕРј РїСЂРѕРІРѕР¶Сѓ РЅРµРјРЅРѕРіРѕ РІСЂРµРјРµРЅРё СЃ РґСЂСѓР·СЊСЏРјРё. Р”РѕРјРѕР№ РІРѕР·РІСЂР°С‰Р°СЋСЃСЊ РѕРєРѕР»Рѕ 7 РІРµС‡РµСЂР° Рё Р·Р°С‚РµРј СѓС‡СѓСЃСЊ, РёР»Рё РїРѕСЋ/РїРёС€Сѓ РјСѓР·С‹РєСѓ. - РўСЂСѓРґРЅРѕ Р»Рё СЃРѕРІРјРµС‰Р°С‚СЊ РїРѕРґРіРѕС‚РѕРІРєСѓ Рє РєРѕРЅРєСѓСЂСЃСѓ СЃ СѓС‡РµР±РѕР№ РІ С€РєРѕР»Рµ? - РљРѕРЅРµС‡РЅРѕ, СЏ РїСЂРѕРїСѓСЃРєР°СЋ РїРѕ РЅРµСЃРєРѕР»СЊРєСѓ СѓС‡РµР±РЅС‹С… РґРЅРµР№ РІ РєР°Р¶РґС‹Р№ РјРµСЃСЏС†, С‡С‚Рѕ СЃРєР°Р·С‹РІР°РµС‚СЃСЏ РЅР° РјРѕРµР№ СЃРёС‚СѓР°С†РёРё РІ С€РєРѕР»Рµ. РџРѕСЃР»Рµ С‚РѕРіРѕ РєР°Рє СЏ РїСЂРѕРїСѓСЃРєР°СЋ, РїСЂРёС…РѕРґРёС‚СЃСЏ РЅРµРјРЅРѕРіРѕ Р±РѕР»СЊС€Рµ РІСЂРµРјРµРЅРё РІ РЅРµРґРµР»СЋ СѓРґРµР»СЏС‚СЊ Р·Р°РЅСЏС‚РёСЏРј. РќРѕ СЏ СЃС‡РёС‚Р°СЋ, С‡С‚Рѕ РјРЅРµ СЌС‚Рѕ РІРµСЃСЊРјР° СѓСЃРїРµС€РЅРѕ СѓРґР°РµС‚СЃСЏ Рё РѕРЅРѕ СЃС‚РѕРёС‚ С‚РѕРіРѕ! - РќР°РІРµСЂРЅРѕРµ СЌС‚Рѕ РІСЃРµ СЏР·С‹РєРё Рё Р±РёРѕР»РѕРіРёСЏ. - РџРѕР»СѓС‡Р°Р» Р»Рё С‚С‹ РєР°РєРёРµ-Р»РёР±Рѕ СЂРµРєРѕРјРµРЅРґР°С†РёРё СЃРІРѕРµР№ СЃРµРјСЊРё Рё СЂРѕРґСЃС‚РІРµРЅРЅРёРєРѕРІ РєР°СЃР°С‚РµР»СЊРЅРѕ РїРѕРµР·РґРєРё РІ Р•СЂРµРІР°РЅ? - РћРЅРё РЅРµ РіРѕРІРѕСЂРёР»Рё РЅРёС‡РµРіРѕ РѕСЃРѕР±РµРЅРЅРѕРіРѕ, РїРѕРјРёРјРѕ С‚РѕРіРѕ, С‡С‚Рѕ СЏ РґРѕР»Р¶РµРЅ СЂР°СЃСЃРјР°С‚СЂРёРІР°С‚СЊ СЌС‚РѕС‚ РєРѕРЅРєСѓСЂСЃ РєР°Рє РЅР°РєРѕРїР»РµРЅРёРµ РѕРїС‹С‚Р°, Рё СЌС‚Рѕ РґРѕР»Р¶РЅРѕ Р±С‹С‚СЊ РІРµСЃРµР»Рѕ! - РўС‹ СЃРјРѕС‚СЂРµР» Р”РµС‚СЃРєРѕРµ Р•РІСЂРѕРІРёРґРµРЅРёРµ РІ РїСЂРѕС€Р»РѕРј, РµСЃС‚СЊ Р»Рё Сѓ С‚РµР±СЏ РєР°РєРёРµ-С‚Рѕ С„Р°РІРѕСЂРёС‚С‹ РёР· РїСЂРѕС€Р»С‹С… Р»РµС‚ РєРѕРЅРєСѓСЂСЃР°? - РЎРєРѕР»СЊРєРѕ РїРѕРјРЅСЋ, СЏ СЃРјРѕС‚СЂРµР» РєРѕРЅРєСѓСЂСЃ РєР°Р¶РґС‹Р№ РіРѕРґ. РњРѕСЏ Р»СЋР±РёРјР°СЏ РїРµСЃРЅСЏ - "Du" РњРёРјРјРё РЎР°РЅРґРµРЅ. РњРЅРµ РєР°Р¶РµС‚СЃСЏ, С‡С‚Рѕ СЌС‚Рѕ РїРѕС‚СЂСЏСЃР°СЋС‰Р°СЏ Рё СЃРѕРІСЂРµРјРµРЅРЅР°СЏ РїРµСЃРЅСЏ! - Р�РЅС‚РµСЂРµСЃСѓРµС€СЊСЃСЏ Р»Рё С‚С‹ РєС‚Рѕ Р±СѓРґРµС‚ РїСЂРµРґСЃС‚Р°РІР»СЏС‚СЊ РґСЂСѓРіРёРµ СЃС‚СЂР°РЅС‹ РІ РєРѕРЅРєСѓСЂСЃРµ, Р±СѓРґРµС€СЊ СЃР»СѓС€Р°С‚СЊ РїРµСЃРЅРё РєРѕРЅРєСѓСЂРµРЅС‚РѕРІ РґРѕ РІС‹Р»РµС‚Р° РІ Р•СЂРµРІР°РЅ? - РњРЅРµ РѕС‡РµРЅСЊ РёРЅС‚РµСЂРµСЃРЅРѕ РїРѕР·РЅР°РєРѕРјРёС‚СЊСЃСЏ СЃ РґСЂСѓРіРёРјРё СѓС‡Р°СЃС‚РЅРёРєР°РјРё Рё СЏ СѓР¶Рµ РїСЂРѕСЃР»СѓС€Р°Р» СЂСЏРґ РёС… РїРµСЃРµРЅ. - РљР°РєРѕРІР° С‚РІРѕСЏ С†РµР»СЊ РЅР° РєРѕРЅРєСѓСЂСЃРµ? РҐРѕС‡РµС€СЊ Р»Рё С‚С‹ РїРѕР±РµРґРёС‚СЊ, РёР»Рё РїСЂРѕСЃС‚Рѕ С…РѕСЂРѕС€Рѕ РїСЂРѕРІРµСЃС‚Рё РІСЂРµРјСЏ Рё РЅР°Р№С‚Рё РЅРѕРІС‹С… РґСЂСѓР·РµР№? - РЇ С…РѕС‡Сѓ РїСЂРѕРІРµСЃС‚Рё С…РѕСЂРѕС€Рѕ РІСЂРµРјСЏ Рё Р·Р°РІРµСЃС‚Рё РЅРѕРІС‹С… РґСЂСѓР·РµР№. Р РµР·СѓР»СЊС‚Р°С‚ РЅР° РєРѕРЅРєСѓСЂСЃРµ РґР»СЏ РјРµРЅСЏ РЅРµ РёРјРµРµС‚ Р·РЅР°С‡РµРЅРёСЏ. РЇ СѓР¶Рµ РјРЅРѕРіРѕРіРѕ РґРѕР±РёР»СЃСЏ, РїРѕСЌС‚РѕРјСѓ РґР»СЏ РјРµРЅСЏ СЌС‚Рѕ РїСЂРѕСЃС‚Рѕ РЅРµ РІР°Р¶РЅРѕ! - РўРµР±Рµ РЅСЂР°РІСЏС‚СЃСЏ РєРѕРЅРєСѓСЂСЃС‹ Рё СѓС‡Р°СЃС‚РёРµ РІ РЅРёС…? Р’ РєР°РєРѕРј СЃР°РјРѕРј РїР°РјСЏС‚РЅРѕРј С„РµСЃС‚РёРІР°Р»Рµ С‚С‹ РїСЂРёРЅРёРјР°Р» СѓС‡Р°СЃС‚РёРµ? - Р�РЅРѕРіРґР°, СЌС‚Рѕ РѕС‡РµРЅСЊ РІРµСЃРµР»Рѕ РїСЂРёРЅРёРјР°С‚СЊ СѓС‡Р°СЃС‚РёРµ, Рё СЏ Р»СЋР±Р»СЋ РІРµСЃРµР»РёС‚СЊСЃСЏ. РњРѕР№ СЃР°РјС‹Р№ РїР°РјСЏС‚РЅС‹Р№ - РЅР°РІРµСЂРЅРѕРµ СЃР°РјС‹Р№ РїРµСЂРІС‹Р№ РєРѕРЅРєСѓСЂСЃ РІ РєРѕС‚РѕСЂРѕРј СЏ РїРѕР±РµРґРёР». Р­С‚Рѕ Р±С‹Р»Рё РѕРґРЅРё РёР· СЃР°РјС‹С… Р»СѓС‡С€РёС… РґРЅРµР№ РјРѕРµР№ Р¶РёР·РЅРё! - РўС‹ РёСЃРїРѕР»РЅСЏРµС€СЊ РјРЅРѕРіРѕ РѕСЂРёРіРёРЅР°Р»СЊРЅС‹С… РїРµСЃРµРЅ, РёР· С‡РµРіРѕ СЃРѕСЃС‚РѕРёС‚ С‚РІРѕР№ РѕР±С‹С‡РЅС‹Р№ СЂРµРїРµСЂС‚СѓР°СЂ? - РџРѕРєР° СЏ РІ РѕСЃРЅРѕРІРЅРѕРј РїРѕСЋ РєРѕРІРµСЂР°, РЅРѕ СЂР°Р±РѕС‚Р°СЋ РЅР°Рґ РѕСЂРёРіРёРЅР°Р»СЊРЅС‹Рј РјР°С‚РµСЂРёР°Р»РѕРј. - РљР°РєСѓСЋ РјСѓР·С‹РєСѓ С‚С‹ РѕР±С‹С‡РЅРѕ Р»СЋР±РёС€СЊ СЃР»СѓС€Р°С‚СЊ? - РЇ СЃР»СѓС€Р°СЋ РІСЃРµ РІРёРґС‹ РјСѓР·С‹РєРё. РћС‚ РєР»Р°СЃСЃРёС‡РµСЃРєРѕР№ РјСѓР·С‹РєРё Рё РґРѕ С…Р°СЂРґ-СЂРѕРєР°. РњРѕРё Р»СЋР±РёРјС‹Рµ РёСЃРїРѕР»РЅРёС‚РµР»Рё - РёР· С€РІРµРґРѕРІ Р’РµСЂРѕРЅРёРєР° РњР°РґР¶РёРѕ Рё РћСЃРєР°СЂ Р›РёРЅРЅСЂРѕСЃ. Р�Р· Р·Р°СЂСѓР±РµР¶РЅС‹С… - Р›РµРґРё Р“Р°РіР° Рё РђС€РµСЂ. - РљР°РєРѕРІС‹ С‚РІРѕРё РїР»Р°РЅС‹ РїРѕСЃР»Рµ РєРѕРЅРєСѓСЂСЃР°? РўС‹ С…РѕС‡РµС€СЊ СЃС‚Р°С‚СЊ РїСЂРѕС„РµСЃСЃРёРѕРЅР°Р»СЊРЅС‹Рј РїРµРІС†РѕРј РІ Р±СѓРґСѓС‰РµРј? - РЇ РїСЂРёРЅРёРјР°СЋ РІСЃРµ РїРѕ РјРµСЂРµ РїРѕСЃС‚СѓРїР»РµРЅРёСЏ, РЅРѕ РІРѕРѕР±С‰Рµ-С‚Рѕ РґРѕ РЅР°С‡Р°Р»Р° РєР°СЂСЊРµСЂС‹ СЏ РїР»Р°РЅРёСЂСѓСЋ Р·Р°РєРѕРЅС‡РёС‚СЊ С€РєРѕР»Сѓ. РљРѕРЅРµС‡РЅРѕ Р¶Рµ СЏ С…РѕС‡Сѓ СЃС‚Р°С‚СЊ РїСЂРѕС„РµСЃСЃРёРѕРЅР°Р»СЊРЅС‹Рј РїРµРІС†РѕРј, РЅРѕ СЃРµР№С‡Р°СЃ РґР»СЏ РјРµРЅСЏ РЅР° РїРµСЂРІРѕРј РјРµСЃС‚Рµ РјРѕРµ РѕР±СЂР°Р·РѕРІР°РЅРёРµ! - Р� РµСЃР»Рё Сѓ С‚РµР±СЏ РµСЃС‚СЊ С‡С‚Рѕ-С‚Рѕ РґРѕР±Р°РІРёС‚СЊ РґР»СЏ С‡РёС‚Р°С‚РµР»РµР№ РёРЅС‚РµСЂРІСЊСЋ, С‚С‹ РјРѕР¶РµС€СЊ СЃРґРµР»Р°С‚СЊ СЌС‚Рѕ РїСЂСЏРјРѕ СЃРµР№С‡Р°СЃ. - РЇ РЅР°РґРµСЋСЃСЊ, С‡С‚Рѕ РІР°Рј РЅСЂР°РІРёС‚СЃСЏ РјРѕСЏ РїРµСЃРЅСЏ, Рё РІС‹ Р±СѓРґРµС‚Рµ РіРѕР»РѕСЃРѕРІР°С‚СЊ СЃРІРѕРёРј СЃРµСЂРґС†РµРј! - РЎРїР°СЃРёР±Рѕ Р·Р° РёРЅС‚РµСЂРІСЊСЋ Рё РґРѕ РІСЃС‚СЂРµС‡Рё РІ Р•СЂРµРІР°РЅРµ! 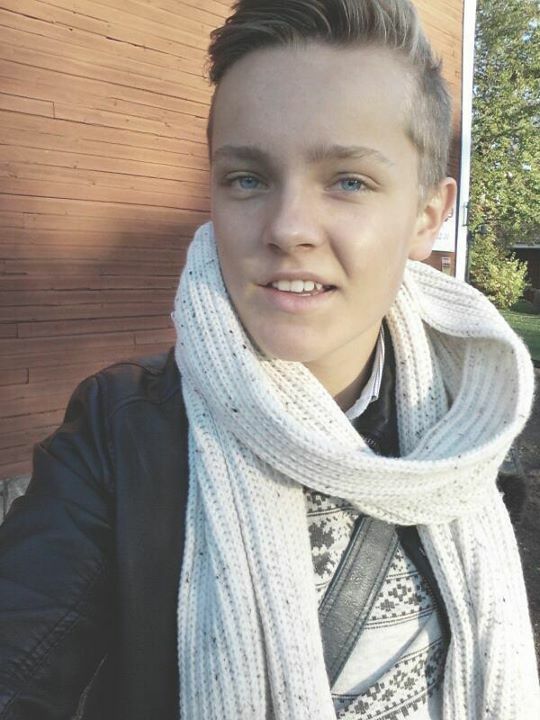 In his latest blog post, Junior Eurovision Song Contest 2011 entrant for Sweden revealed that he caught cold: "I've been sick, which is terribly boring, the nose just runs and runs...". 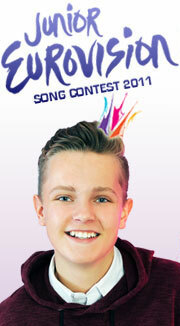 However, it didn't stop his JESC preparations as next week he is releasing digital single for his JESC entry "Faller". It will include English version of "Faller" as well as two remixes - in Swedish and English. Also Erik adds that today he "might be committing one of the biggest mistakes in his 15-year life, or maybe the biggest ever? I'm extremely nervous, anyway. I'll tell you soon what it is". It all begins with a casting in which 17 kids took part being Isa Tengblad, Erik Rapp, Oliver A. Eskilsson, Charlie Ebert, Wiktoria Johansson, Omar Rudberg, Rebecca Jansson, Julie Yu, Vendela Hollstrom, Ebba Knutsson, Linn Jans, Rebecka Karlsson, Lisa Ajax, Sheine Fogo, Felicia VРµrnas, Albin Palmgren and Ida Lafontaine. 8 best were chosen and given the opportunity to record their song in the studio with an experienced music producers. 4 best from this stage being Isa Tengblad, Erik Rapp, Oliver A. Eskilsson and Wiktoria Johansson were chosen for the live performance in front of audience in Grona Lund park, where jury made of former JESC entrant Molly Sanden, choreographer Tine Matulessy and Melodifestivalen producer Christer Bjorkman has chosen Erik Rapp as Swedish representative in the contest. Р’ СЃРІРѕРµРј РЅРµРґР°РІРЅРµРј Р±Р»РѕРіРїРѕСЃС‚Рµ РїСЂРµРґСЃС‚Р°РІРёС‚РµР»СЊ РЁРІРµС†РёРё РЅР° Р”РµС‚СЃРєРѕРј Р•РІСЂРѕРІРёРґРµРЅРёРё СЃРѕРѕР±С‰Р°РµС‚, С‡С‚Рѕ РѕРЅ РїСЂРѕСЃС‚СѓРґРёР»СЃСЏ: "РЇ Р±РѕР»РµСЋ, Р° СЌС‚Рѕ СЃС‚СЂР°С€РЅРѕ СЃРєСѓС‡РЅРѕ, РёР· РЅРѕСЃР° РІСЃРµ С‚РµС‡РµС‚ Рё С‚РµС‡РµС‚...". РћРґРЅР°РєРѕ, СЌС‚Рѕ РЅРµ РѕСЃС‚Р°РЅРѕРІРёР»Рѕ РµРіРѕ РїРѕРґРіРѕС‚РѕРІРєСѓ Рє Р”РµС‚СЃРєРѕРјСѓ Р•РІСЂРѕРІРёРґРµРЅРёСЋ, РїРѕСЃРєРѕР»СЊРєСѓ РЅР° СЃР»РµРґСѓСЋС‰РµР№ РЅРµРґРµР»Рµ РѕРЅ РІС‹РїСѓСЃС‚РёС‚ С†РёС„СЂРѕРІРѕР№ СЃРёРЅРіР» РЅР° СЃРІРѕСЋ РєРѕРЅРєСѓСЂСЃРЅСѓСЋ РїРµСЃРЅСЋ "Faller". РќР° РЅРµРіРѕ РІРѕР№РґСѓС‚ Р°РЅРіР»РёР№СЃРєР°СЏ РІРµСЂСЃРёСЏ "Faller", Р° С‚Р°РєР¶Рµ РґРІР° СЂРµРјРёРєСЃР° - РЅР° С€РІРµРґСЃРєРѕРј Рё Р°РЅРіР»РёР№СЃРєРѕРј СЏР·С‹РєР°С…. РўР°РєР¶Рµ Р­СЂРёРє РґРѕР±Р°РІР»СЏРµС‚, С‡С‚Рѕ СЃРµРіРѕРґРЅСЏ РІРѕР·РјРѕР¶РЅРѕ РѕРЅ "СЃРѕРІРµСЂС€РёС‚ РѕРґРЅСѓ РёР· СЃР°РјС‹С… Р±РѕР»СЊС€РёС… РѕС€РёР±РѕРє РІ СЃРІРѕРµР№ 15-Р»РµС‚РЅРµР№ Р¶РёР·РЅРё, РёР»Рё РІРѕР·РјРѕР¶РЅРѕ СЃР°РјСѓСЋ Р±РѕР»СЊС€СѓСЋ? РЇ РѕС‡РµРЅСЊ РЅРµСЂРІРЅРёС‡Р°СЋ, РІ Р»СЋР±РѕРј СЃР»СѓС‡Р°Рµ. РЎРєРѕСЂРѕ СЏ РІР°Рј СЂР°СЃСЃРєР°Р¶Сѓ, С‡С‚Рѕ СЏ РёРјРµР» РІ РІРёРґСѓ". Р­СЂРёРє Рё РµРіРѕ С‚Р°РЅС†РѕСЂС‹ Max Matulessy Gullstrom, Julia Walensteen, Gustaf Groning, Ola Sjoberg Рё Agnes Berg, Р° С‚Р°РєР¶Рµ РІСЃСЏ РѕСЃС‚Р°РІС€Р°СЏСЃСЏ С€РІРµРґСЃРєР°СЏ РґРµР»РµРіР°С†РёСЏ РѕС‚РїСЂР°РІСЏС‚СЃСЏ РІ Р•СЂРµРІР°РЅ РІ СЃСѓР±Р±РѕС‚Сѓ. РўР°РєР¶Рµ РІ СЃСѓР±Р±РѕС‚Сѓ Р±СѓРґРµС‚ РїРѕРєР°Р·Р°РЅР° РІС‚РѕСЂР°СЏ С‡Р°СЃС‚СЊ РґРѕРєСѓРјРµРЅС‚Р°Р»СЊРЅРѕР№ РїСЂРѕРіСЂР°РјРјС‹ "Before JESC", РЅР° С‚РµР»РµРєР°РЅР°Р»Рµ SVTB РІ 19.30. РџСЂРѕРіСЂР°РјРјР° СЂР°СЃСЃРєР°Р·С‹РІР°РµС‚ Рѕ РїСЂРѕС†РµСЃСЃРµ РѕС‚Р±РѕСЂР° РЁРІРµС†РёРё РЅР° Р”РµС‚СЃРєРѕРµ Р•РІСЂРѕРІРёРґРµРЅРёРµ 2011. Р’СЃРµ РЅР°С‡Р°Р»РѕСЃСЊ СЃ РєР°СЃС‚РёРЅРіРѕРІ, РІ РєРѕС‚РѕСЂС‹С… РїСЂРёРЅСЏР»Рё СѓС‡Р°СЃС‚РёРµ 17 РёСЃРїРѕР»РЅРёС‚РµР»РµР№ - Isa Tengblad, Erik Rapp, Oliver A. Eskilsson, Charlie Ebert, Wiktoria Johansson, Omar Rudberg, Rebecca Jansson, Julie Yu, Vendela Hollstrom, Ebba Knutsson, Linn Jans, Rebecka Karlsson, Lisa Ajax, Sheine Fogo, Felicia VРµrnas, Albin Palmgren Рё Ida Lafontaine. 8 Р»СѓС‡С€РёС… РёР· РЅРёС… РїРѕР»СѓС‡РёР»Рё С€Р°РЅСЃ Р·Р°РїРёСЃР°С‚СЊ СЃРІРѕСЋ РїРµСЃРЅСЋ РІ СЃС‚СѓРґРёРё РїСЂРё РїРѕРјРѕС‰Рё РѕРїС‹С‚РЅС‹С… РјСѓР·С‹РєР°Р»СЊРЅС‹С… РїСЂРѕРґСЋСЃРµСЂРѕРІ. Р� РЅР°РєРѕРЅРµС† 4 Р»СѓС‡С€РёС… - Isa Tengblad, Erik Rapp, Oliver A. Eskilsson Рё Wiktoria Johansson Р±С‹Р»Рё РІС‹Р±СЂР°РЅС‹ РґР»СЏ Р¶РёРІРѕРіРѕ РІС‹СЃС‚СѓРїР»РµРЅРёСЏ РїРµСЂРµРґ Р·СЂРёС‚РµР»СЊСЃРєРѕР№ Р°СѓРґРёС‚РѕСЂРёРµР№ РІ РїР°СЂРєРµ Grona Lund, РіРґРµ Р¶СЋСЂРё, РІ РєРѕС‚РѕСЂРѕРµ РІРѕС€Р»Рё Р±С‹РІС€Р°СЏ РєРѕРЅРєСѓСЂСЃР°РЅС‚РєР° Р”РµС‚СЃРєРѕРіРѕ Р•РІСЂРѕРІРёРґРµРЅРёСЏ РњРѕР»Р»Рё РЎР°РЅРґРµРЅ, С…РѕСЂРµРѕРіСЂР°С„ РўРёРЅРµ РњР°С‚СѓР»РµСЃСЃРё Рё РїСЂРѕРґСЋСЃРµСЂ РњРµР»РѕРґРёС„РµСЃС‚РёРІР°Р»РµРЅР° РљСЂРёСЃС‚РµСЂ Р‘СЊРѕСЂРєРјР°РЅ, РІС‹Р±СЂР°Р»Рё Р­СЂРёРєР° Р Р°РїРїР° РїСЂРµРґСЃС‚Р°РІРёС‚РµР»РµРј РЁРІРµС†РёРё РЅР° РєРѕРЅРєСѓСЂСЃРµ. Replay 1/12 SVT24 at 20:00 РЁРІРµРґСЃРєРѕРµ С‚РµР»РµРІРёРґРµРЅРёРµ SVT РѕРїСѓР±Р»РёРєРѕРІР°Р»Рѕ РѕРЅР»Р°Р№РЅ 1Р№ СЌРїРёР·РѕРґ РїСЂРѕРіСЂР°РјРјС‹ "Infor Junior Eurovision", РїРѕСЃРІСЏС‰РµРЅРЅРѕР№ РїСЂРѕС†РµСЃСЃСѓ РЅР°С†РёРѕРЅР°Р»СЊРЅРѕРіРѕ РѕС‚Р±РѕСЂР°. Erik Rapp will defend the blue and yellow colors with the song "Faller" which he co-authored with Johan Jamtberg and Mikael GunnerРµs from Gavle. "The lyrics are about love and are half self-perceived and half invented", says Erik to GD Entertainment. "It took a while before we got to the chorus, but then it came off". Erik lives in Leksand, but the distance to Gavle where he is taking vocal training has not deterred him or his parents over the years since he chose to join Jamtberg's house of talents. Especially after the success in talent competitions with victory in 2010 at its peak. "It has worked well", says Erik. "Sometimes I go together on car with a girl from Hedemora". How did it happen that "Gavle song" won the Swedish selection for the European finals? "At first I was in an audition and the jury liked the song. I was among the eight who eventually went on to the recording of a television program. Then, four participants proceeded to the final at Grona Lund early in the fall". 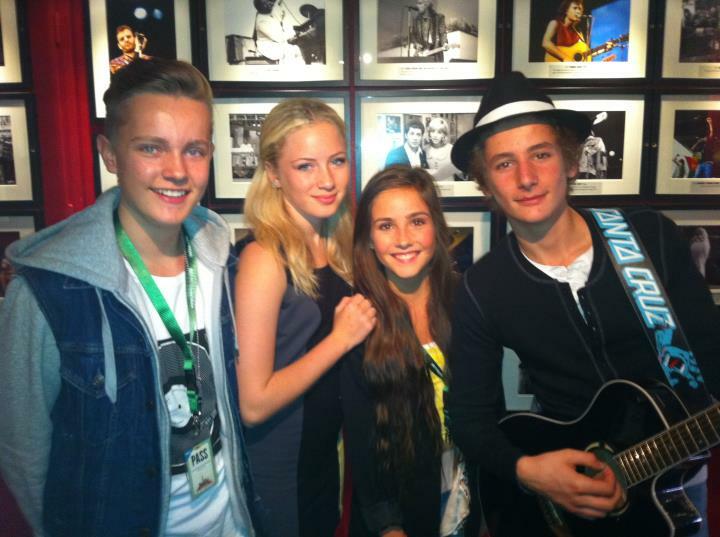 The jury consisting of Christer Bjorkman, Tine Matulessy and Molly Sanden appointed Erik as the winner. Huge cheers followed and of course his coach Johan Jamtberg was as happy as Erik. 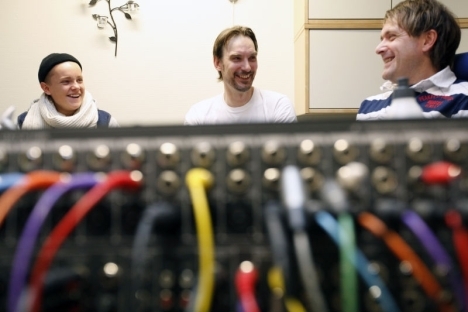 "Helges Vocal Studio now has it's third contribution to the Juniors European final", explains Johan. In 2006, Molly Sanden, now an established star, had her song "Det finaste nРµgon kan fa" produced by Helges and in Bucharest she brought home Sweden's best result to date. She was third. The following year Helges produced for her sister Frida Sanden "Nu eller aldrig" that had represented Sweden in Rotterdam. It didn't reach a great place, but still Frida was satisfied with her performance. "In Rotterdam I was also on a mission to invite someone from the other countries to work with our Vocal Studio. The choice was Bulgarian Bon-Bon and I never had to regret that. The following summer they came to Sweden and performed together with young artists from our studio. We had a great time, and I had also written two songs for the group together with my co-writer Katarina Р•slund - "Pop til U drop" and "Break it up", says Johan. Who knows, whether any of JESC 2011 talents will also become Helges Artists? Johan also travelled to JESC 2009 in Kyiv with Swedish entrant Mimmi Sanden, and one of artists he remembers from that is Russian Katya Ryabova - "She is my absolute favourite this year too, I think she has a really catchy song and she's a very natural performer with a good voice. I also like the songs from the Netherlands and Ukraine. I will probably, as in the earlier years, end up loving all the songs eventually", said Johan to Brazilian fan site JanelaESC. Now it is thus time for Swedes to keep all thumbs for Erik and his song "Faller" over there in Armenia, where he and Johan will be traveling at the end of this month to start rehearsals. Meanwhile, Mikael GunnerРµs, is now in the process of developing a suitable lyrics to release soon English version of the entry. Also there will be two remixes released. First episode of "Infor til JESC 2011" will be aired by SVTB tomorrow at 19.30. Р­СЂРёРє Р Р°РїРї Р±СѓРґРµС‚ Р·Р°С‰РёС‰Р°С‚СЊ РіРѕР»СѓР±С‹Рµ Рё Р¶РµР»С‚С‹Рµ С†РІРµС‚Р° СЃРІРѕРµРіРѕ С„Р»Р°РіР° СЃ РїРµСЃРЅРµР№ "Faller", РєРѕС‚РѕСЂСѓСЋ РѕРЅ РЅР°РїРёСЃР°Р» РІРјРµСЃС‚Рµ СЃ Р™РѕС…Р°РЅРѕРј РЇРјС‚Р±РµСЂРіРѕРј Рё РњРёРєР°РµР»РµРј Р“СѓРЅРЅРµСЂРµСЃРѕРј РёР· Р•РІР»Рµ. "РўРµРєСЃС‚ РїРµСЃРЅРё Рѕ Р»СЋР±РІРё, Рё РѕРЅ РЅР°РїРѕР»РѕРІРёРЅСѓ РѕСЃРЅРѕРІР°РЅ РЅР° СЃРѕР±СЃС‚РІРµРЅРЅС‹С… С‡СѓРІСЃС‚РІР°С… Рё РЅР°РїРѕР»РѕРІРёРЅСѓ РїСЂРёРґСѓРјР°РЅ", СЂР°СЃСЃРєР°Р·С‹РІР°РµС‚ Р­СЂРёРє GD Enternainment. "РќР°Рј РїРѕС‚СЂРµР±РѕРІР°Р»РѕСЃСЊ РЅРµРєРѕС‚РѕСЂРѕРµ РІСЂРµРјСЏ РїРѕРєР° РјС‹ СЃРјРѕРіР»Рё РїСЂРёРґСѓРјР°С‚СЊ РїСЂРёРїРµРІ, РЅРѕ РїРѕС‚РѕРј РїРѕС€Р»Рѕ РІСЃРµ РєР°Рє РїРѕ РјР°СЃР»Сѓ". Р­СЂРёРє Р¶РёРІРµС‚ РІ Р›РµРєСЃР°РЅРґРµ, РЅРѕ СЂР°СЃСЃС‚РѕСЏРЅРёРµ РґРѕ Р•РІР»Рµ, РіРґРµ РѕРЅ Р±РµСЂРµС‚ СѓСЂРѕРєРё РІРѕРєР°Р»Р°, РЅРµ РѕС‚С‚РѕР»РєРЅСѓР»Р° РЅРё РµРіРѕ, РЅРё РµРіРѕ СЂРѕРґРёС‚РµР»РµР№ Р·Р° С‚Рµ РіРѕРґС‹, РєРѕС‚РѕСЂС‹Рµ РїСЂРѕС€Р»Рё СЃ РјРѕРјРµРЅС‚Р°, РєР°Рє РѕРЅ РїСЂРёСЃРѕРµРґРёРЅРёР»СЃСЏ Рє РґРѕРјСѓ С‚Р°Р»Р°РЅС‚РѕРІ РЇРјС‚Р±РµСЂРіР°. РћСЃРѕР±РµРЅРЅРѕ РїРѕСЃР»Рµ СѓСЃРїРµС…Р° РІ РєРѕРЅРєСѓСЂСЃР°С… С‚Р°Р»Р°РЅС‚РѕРІ, РїРѕР±РµРґР° РІ РѕРґРЅРѕРј РёР· РєРѕС‚РѕСЂС‹С… РІ 2010 РіРѕРґСѓ СЃС‚Р°Р»Р° РїРёРєРѕРј. "Р’СЃРµ РїРѕР»СѓС‡Р°РµС‚СЃСЏ РѕС‚Р»РёС‡РЅРѕ", РіРѕРІРѕСЂРёС‚ Р­СЂРёРє. "Р�РЅРѕРіРґР° РјС‹ РµР·РґРёРј РІРјРµСЃС‚Рµ РЅР° РјР°С€РёРЅРµ СЃ РґРµРІРѕС‡РєРѕР№ РёР· РҐРµРґРµРјСѓСЂС‹". РљР°Рє РїРѕР»СѓС‡РёР»РѕСЃСЊ, С‡С‚Рѕ "РїРµСЃРЅСЏ РёР· Р•РІР»Рµ" РїРѕР±РµРґРёР»Р° РЅР° С€РІРµРґСЃРєРѕРј РѕС‚Р±РѕСЂРµ? "РЎРЅР°С‡Р°Р»Р° Сѓ РЅР°СЃ Р±С‹Р»Рё РїСЂРѕСЃР»СѓС€РёРІР°РЅРёСЏ, Рё Р¶СЋСЂРё РїРѕРЅСЂР°РІРёР»Р°СЃСЊ РјРѕСЏ РїРµСЃРЅСЏ. РЇ Р±С‹Р» СЃСЂРµРґРё С‚РµС… РІРѕСЃСЊРјРµСЂС‹С…, РєС‚Рѕ Р±С‹Р» РІС‹Р±СЂР°РЅ РґР»СЏ Р·Р°РїРёСЃРё С‚РµР»РµРїСЂРѕРіСЂР°РјРјС‹. Р—Р°С‚РµРј, С‡РµС‚РІРµСЂРѕ РёР· РєРѕРЅРєСѓСЂСЃР°РЅС‚РѕРІ РїСЂРёРЅСЏР»Рё СѓС‡Р°СЃС‚РёРµ РІ С„РёРЅР°Р»Рµ РѕС‚Р±РѕСЂР° РІ РїР°СЂРєРµ СЂР°Р·РІР»РµС‡РµРЅРёР№ Grona Lund РІ РЅР°С‡Р°Р»Рµ РѕСЃРµРЅРё". Р–СЋСЂРё, РІ РєРѕС‚РѕСЂРѕРµ РІРѕС€Р»Рё РљСЂРёСЃС‚РµСЂ Р‘СЊРѕСЂРєРјР°РЅ, РўРёРЅРµ РњР°С‚СѓР»РµСЃСЃРё Рё РњРѕР»Р»Рё РЎР°РЅРґРµРЅ, РІС‹Р±СЂР°Р»Рѕ Р­СЂРёРєР° РїРѕР±РµРґРёС‚РµР»РµРј. РќРµ РјРµРЅСЊС€Рµ Р±С‹Р» РѕР±СЂР°РґРѕРІР°РЅ СЌС‚РѕРјСѓ Рё РµРіРѕ РїРµРґР°РіРѕРі Р™РѕС…Р°РЅ РЇРјС‚Р±РµСЂРі. "Р”Р»СЏ СЃС‚СѓРґРёРё Helges СЌС‚Рѕ СѓР¶Рµ С‚СЂРµС‚РёР№ РІРєР»Р°Рґ РІ С„РёРЅР°Р»С‹ Р”РµС‚СЃРєРѕРіРѕ Р•РІСЂРѕРІРёРґРµРЅРёСЏ", РѕР±СЉСЏСЃРЅСЏРµС‚ Р™РѕС…Р°РЅ. Р’ 2006 РіРѕРґСѓ РњРѕР»Р»Рё РЎР°РЅРґРµРЅ, СЃРµР№С‡Р°СЃ СѓР¶Рµ РѕРїС‹С‚РЅР°СЏ Р·РІРµР·РґР°, РІС‹СЃС‚СѓРїР°Р»Р° СЃРѕ СЃРІРѕРµР№ РїРµСЃРЅРµР№ "Det finaste nРµgon kan fa", СЃРїСЂРѕРґСЋСЃРёСЂРѕРІР°РЅРЅРѕР№ Helges Рё РІ Р‘СѓС…Р°СЂРµСЃС‚Рµ СЃРјРѕРіР»Р° РґРѕР±РёС‚СЊСЃСЏ РЅР°РёР»СѓС‡С€РµРіРѕ СЂРµР·СѓР»СЊС‚Р°С‚Р° РЁРІРµС†РёРё РЅР° РєРѕРЅРєСѓСЂСЃРµ, СЃС‚Р°РІ С‚СЂРµС‚СЊРµР№. РќР° СЃР»РµРґСѓСЋС‰РёР№ РіРѕРґ Helges СЃРїСЂРѕРґСЋСЃРёСЂРѕРІР°Р»Рё РґР»СЏ РµРµ СЃРµСЃС‚СЂС‹ Р¤СЂРёРґС‹ РЎР°РЅРґРµРЅ РїРµСЃРЅСЋ "Nu eller aldrig", РєРѕС‚РѕСЂР°СЏ РїСЂРµРґСЃС‚Р°РІР»СЏР»Р° РЁРІРµС†РёСЋ РІ Р РѕС‚С‚РµСЂРґР°РјРµ. РћРЅР° РЅРµ РґРѕСЃС‚РёРіР»Р° РІС‹СЃРѕРєРѕРіРѕ РјРµСЃС‚Р°, РЅРѕ Р¤СЂРёРґР° РІСЃРµ СЂР°РІРЅРѕ РѕСЃС‚Р°Р»Р°СЃСЊ РґРѕРІРѕР»СЊРЅР° СЃРІРѕРёРј РІС‹СЃС‚СѓРїР»РµРЅРёРµРј. "Р’ Р РѕС‚С‚РµСЂРґР°РјРµ РјРѕРµР№ С†РµР»СЊСЋ Р±С‹Р»Рѕ С‚Р°РєР¶Рµ РїСЂРёРіР»Р°СЃРёС‚СЊ РєРѕРіРѕ-С‚Рѕ РёР· РєРѕРЅРєСѓСЂСЃР°РЅС‚РѕРІ РґСЂСѓРіРёС… СЃС‚СЂР°РЅ РґР»СЏ СЂР°Р±РѕС‚С‹ РІ РЅР°С€РµР№ РІРѕРєР°Р»СЊРЅРѕР№ СЃС‚СѓРґРёРё. Р’С‹Р±РѕСЂ РїР°Р» РЅР° Р±РѕР»РіР°СЂСЃРєСѓСЋ РіСЂСѓРїРїСѓ Bon-Bon Рё РјРЅРµ РЅРёРєРѕРіРґР° РЅРµ РїСЂРёС€Р»РѕСЃСЊ РѕР± СЌС‚РѕРј РїРѕР¶Р°Р»РµС‚СЊ. РЎР»РµРґСѓСЋС‰РёРј Р»РµС‚РѕРј РѕРЅРё РїСЂРёРµС…Р°Р»Рё РІ РЁРІРµС†РёСЋ Рё РІС‹СЃС‚СѓРїР°Р»Рё СЃ СЋРЅС‹РјРё Р°СЂС‚РёСЃС‚Р°РјРё РёР· РЅР°С€РµР№ СЃС‚СѓРґРёРё. РњС‹ РѕС‚Р»РёС‡РЅРѕ РїСЂРѕРІРµР»Рё РІСЂРµРјСЏ, Рё СЏ С‚Р°РєР¶Рµ РЅР°РїРёСЃР°Р» СЃРѕ СЃРІРѕРёРј СЃРѕР°РІС‚РѕСЂРѕРІ РљР°С‚Р°СЂРёРЅРѕР№ Р­СЃР»СѓРЅРґ РґР»СЏ СЌС‚РѕР№ РіСЂСѓРїРїС‹ РґРІРµ РїРµСЃРЅРё "Pop til U drop" Рё "Break it up", РіРѕРІРѕСЂРёС‚ Р™РѕС…Р°РЅ. РљС‚Рѕ Р·РЅР°РµС‚, РјРѕР¶РµС‚ Р±С‹С‚СЊ Рё РєС‚Рѕ-С‚Рѕ РёР· СѓС‡Р°СЃС‚РЅРёРєРѕРІ Р”РµС‚СЃРєРѕРіРѕ Р•РІСЂРѕРІРёРґРµРЅРёСЏ 2011 С‚РѕР¶Рµ СЃС‚Р°РЅРµС‚ Р°СЂС‚РёСЃС‚РѕРј Helges? Р™РѕС…Р°РЅ С‚Р°РєР¶Рµ РїСЂРёСЃСѓС‚СЃС‚РІРѕРІР°Р» Рё РЅР° Р”РµС‚СЃРєРѕРј Р•РІСЂРѕРІРёРґРµРЅРёРё 2009 СЃ РїСЂРµРґСЃС‚Р°РІРёС‚РµР»СЊРЅРёС†РµР№ РЁРІРµС†РёРё РњРёРјРјРё РЎР°РЅРґРµРЅ, Рё РµРјСѓ Р·Р°РїРѕРјРЅРёР»РѕСЃСЊ РІС‹СЃС‚СѓРїР»РµРЅРёРµ СЂРѕСЃСЃРёСЏРЅРєРё РљР°С‚Рё Р СЏР±РѕРІРѕР№ - "РћРЅР° СЏРІР»СЏРµС‚СЃСЏ РјРѕРёРј Р°Р±СЃРѕР»СЋС‚РЅС‹Рј С„Р°РІРѕСЂРёС‚РѕРј Рё РІ СЌС‚РѕРј РіРѕРґСѓ. РЈ РЅРµРµ РѕС‡РµРЅСЊ Р·Р°РїРѕРјРёРЅР°СЋС‰Р°СЃСЏ РїРµСЃРЅСЏ Рё РѕРЅР° РїСЂРёСЂРѕР¶РґРµРЅРЅС‹Р№ РёСЃРїРѕР»РЅРёС‚РµР»СЊ СЃ РѕС‡РµРЅСЊ С…РѕСЂРѕС€РёРј РіРѕР»РѕСЃРѕРј. РњРЅРµ С‚Р°РєР¶Рµ РЅСЂР°РІСЏС‚СЃСЏ РїРµСЃРЅРё РёР· РќРёРґРµСЂР»Р°РЅРґРѕРІ Рё РЈРєСЂР°РёРЅС‹. РќР°РІРµСЂРЅРѕРµ, Рє РєРѕРЅС†Сѓ РєРѕРЅРєСѓСЂСЃР°, РєР°Рє Рё РІ РїСЂРѕС€Р»С‹Рµ РіРѕРґС‹, РјРЅРµ Р±СѓРґСѓС‚ СѓР¶Рµ РЅСЂР°РІРёС‚СЃСЏ РІСЃРµ РїРµСЃРЅРё", СЂР°СЃСЃРєР°Р·С‹РІР°РµС‚ Р™РѕС…Р°РЅ. РќР° СЌС‚РѕС‚ СЂР°Р· С€РІРµРґС‹ Р±СѓРґСѓС‚ Р±РѕР»РµС‚СЊ Р·Р° Р­СЂРёРєР° Рё РµРіРѕ РїРµСЃРЅСЋ "Faller" РІ РђСЂРјРµРЅРёРё, РєСѓРґР° РѕРЅ Рё Р™РѕС…Р°РЅ РѕС‚РїСЂР°РІСЏС‚СЃСЏ РІ РєРѕРЅС†Рµ РјРµСЃСЏС†Р°, С‡С‚РѕР±С‹ РїСЂРёСЃС‚СѓРїРёС‚СЊ Рє СЂРµРїРµС‚РёС†РёСЏРј. Рђ С‚РµРј РІСЂРµРјРµРЅРµРј РњРёРєР°РµР»СЊ Р“СѓРЅРЅРµСЂРµСЃ СЂР°Р±РѕС‚Р°РµС‚ РЅР°Рґ С‚РµРєСЃС‚РѕРј, С‡С‚РѕР±С‹ РІ Р±Р»РёР¶Р°Р№С€РµРµ РІСЂРµРјСЏ РІС‹РїСѓСЃС‚РёС‚СЊ Р°РЅРіР»РёР№СЃРєСѓСЋ РІРµСЂСЃРёСЋ РєРѕРЅРєСѓСЂСЃРЅРѕР№ РїРµСЃРЅРё. РўР°РєР¶Рµ Р±СѓРґСѓС‚ РІС‹РїСѓС‰РµРЅС‹ РґРІР° СЂРµРјРёРєСЃР°. РџРµСЂРІС‹Р№ СЌРїРёР·РѕРґ "Infor til JESC 2011" Р±СѓРґРµС‚ РїРѕРєР°Р·Р°РЅ SVTB Р·Р°РІС‚СЂР° РІ 19.30 РјРµСЃС‚РЅРѕРіРѕ РІСЂРµРјРµРЅРё. This and next Saturday, 19/11 and 26/11 at 19.30 CET SVTB will broadcast two episodes of "Infor Junior Eurovision Song Contest 2011" programs. They will be repeated on SVT1 (21/11 at 11.45 and 28/11 at 12.45) and on SVT24 (24/11 and 01/12 at 20.00). 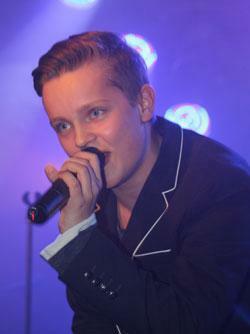 It follows Erik Rapp, Swedish entrant in the Junior Eurovision Song Contest 2011, from casting to the recording studio. It all begins with a casting in which 8 best were chosen from 20 children. Then those 8 have recorded their song in the studio with an experienced music producers. The children talk about how they wrote their songs, how it feels to be in a real studio and their dreams of becoming artists. The jury is made of former JESC entrant Molly Sanden, choreographer Tine Matulessy and Melodifestivalen producer Christer Bjorkman. Meanwhile, a mini-page has been set up by SVTB devoted to the contest. "Exactly in two weeks I will depart to Armenia. Started getting all excited now! Googled a bit yesterday and found out that it tends to be over 100 million viewers in JESC. It's totally a huge! ", wrote Erik in his blog. Real figures though are a bit different with around 20 mln of viewers, but anyway this will be a good experience for Erik. Р’ СЌС‚Сѓ Рё СЃР»РµРґСѓСЋС‰СѓСЋ СЃСѓР±Р±РѕС‚С‹ 19/11 Рё 26/11 РІ 19.30 С‚РµР»РµРєР°РЅР°Р» SVTB РїРѕРєР°Р¶РµС‚ РґРІР° РІС‹РїСѓСЃРєР° РїСЂРѕРіСЂР°РјРјС‹ "Infor Junior Eurovision Song Contest 2011". Р•Рµ РїРѕРІС‚РѕСЂС‹ РІС‹Р№РґСѓС‚ РЅР° SVT1 (21/11 РІ 11.45 Рё 28/11 РІ 12.45) Рё РЅР° SVT24 (24/11 Рё 01/12 РІ 20.00). РђРІС‚РѕСЂС‹ РїСЂРѕРіСЂР°РјРјС‹ РЅР°Р±Р»СЋРґР°СЋС‚ Р·Р° РїСЂРµРґСЃС‚Р°РІРёС‚РµР»РµРј РЁРІРµС†РёРё РЅР° РєРѕРЅРєСѓСЂСЃРµ Р”РµС‚СЃРєРѕРµ Р•РІСЂРѕРІРёРґРµРЅРёРµ 2011 РЅР°С‡РёРЅР°СЏ РѕС‚ РєР°СЃС‚РёРЅРіРѕРІ Рё Р·Р°РєР°РЅС‡РёРІР°СЏ СЃС‚СѓРґРёРµР№ Р·РІСѓРєРѕР·Р°РїРёСЃРё. Р’СЃРµ РЅР°С‡РёРЅР°РµС‚СЃСЏ СЃ РєР°СЃС‚РёРЅРіРѕРІ, РіРґРµ РёР· 20 РґРµС‚РµР№ Р±СѓРґСѓС‚ РІС‹Р±СЂР°РЅС‹ Р»СѓС‡С€РёРµ 8. Р­С‚Рё 8 Р·Р°РїРёС€СѓС‚ СЃРІРѕРё РїРµСЃРЅРё РІ СЃС‚СѓРґРёРё РїСЂРё РїРѕРјРѕС‰Рё РѕРїС‹С‚РЅС‹С… РјСѓР·С‹РєР°Р»СЊРЅС‹С… РїСЂРѕРґСЋСЃРµСЂРѕРІ. Р”РµС‚Рё СЂР°СЃСЃРєР°Р¶СѓС‚ Рѕ С‚РѕРј, РєР°Рє РѕРЅРё СЃРѕС‡РёРЅСЏР»Рё СЃРѕР±СЃС‚РІРµРЅРЅС‹Рµ РїРµСЃРЅРё, РєР°Рє РёРј С‡СѓРІСЃС‚РІСѓРµС‚СЃСЏ РІ РЅР°СЃС‚РѕСЏС‰РµР№ СЃС‚СѓРґРёРё, Рё Рѕ СЃРІРѕРёС… РјРµС‡С‚Р°С… СЃС‚Р°С‚СЊ РёР·РІРµСЃС‚РЅС‹РјРё Р°СЂС‚РёСЃС‚Р°РјРё. Р’ Р¶СЋСЂРё РѕС‚Р±РѕСЂР° РІС…РѕРґСЏС‚ Р±С‹РІС€Р°СЏ СѓС‡Р°СЃС‚РЅРёС†Р° Р”РµС‚СЃРєРѕРіРѕ Р•РІСЂРѕРІРёРґРµРЅРёСЏ РњРѕР»Р»Рё РЎР°РЅРґРµРЅ, С…РѕСЂРµРѕРіСЂР°С„ РўРёРЅРµ РњР°С‚СѓР»РµСЃСЃРё Рё РїСЂРѕРґСЋСЃРµСЂ РњРµР»РѕРґРёС„РµСЃС‚РёРІР°Р»РµРЅР° РљСЂРёСЃС‚РµСЂ Р‘СЊРѕСЂРєРјР°РЅ. РўРµРј РІСЂРµРјРµРЅРµРј, SVTB РѕС‚РєСЂС‹Р» РјРёРЅРё-СЃС‚СЂР°РЅРёС†Сѓ, РїРѕСЃРІСЏС‰РµРЅРЅСѓСЋ РєРѕРЅРєСѓСЂСЃСѓ. "Р РѕРІРЅРѕ С‡РµСЂРµР· РґРІРµ РЅРµРґРµР»Рё СЏ РѕС‚РїСЂР°РІР»СЋСЃСЊ РІ РђСЂРјРµРЅРёСЋ. РќР°С‡РёРЅР°СЋ СѓР¶Рµ РїРµСЂРµР¶РёРІР°С‚СЊ РїРѕ СЌС‚РѕРјСѓ РїРѕРІРѕРґСѓ! РџРѕСЂС‹Р»СЃСЏ РІ РіСѓРіР»Рµ РІС‡РµСЂР° Рё РЅР°С€РµР», С‡С‚Рѕ Р·Р° Р”РµС‚СЃРєРёРј Р•РІСЂРѕРІРёРґРµРЅРёРµРј СЃР»РµРґРёС‚ РѕРєРѕР»Рѕ 100 РјРёР»Р»РёРѕРЅРѕРІ Р·СЂРёС‚РµР»РµР№. Р­С‚Рѕ РЅРµРІРµСЂРѕСЏС‚РЅРѕ РјРЅРѕРіРѕ! ", РЅР°РїРёСЃР°Р» Р­СЂРёРє РІ СЃРІРѕРµРј Р±Р»РѕРіРµ. Р РµР°Р»СЊРЅС‹Рµ С†РёС„СЂС‹, РїСЂР°РІРґР°, РЅРµСЃРєРѕР»СЊРєРѕ РѕС‚Р»РёС‡Р°СЋС‚СЃСЏ, Рё РІСЃРµ 20 РјРёР»Р»РёРѕРЅРѕРІ Р·СЂРёС‚РµР»РµР№, РЅРѕ РІ Р»СЋР±РѕРј СЃР»СѓС‡Р°Рµ РґР»СЏ Р­СЂРёРєР° СЌС‚Рѕ Р±СѓРґРµС‚ РЅРµР·Р°Р±С‹РІР°РµРјС‹Рј РѕРїС‹С‚РѕРј. SVT has confirmed time and dates of "Infor Junior Eurovision" broadcast, which will be devoted to the national final process. "We will release the name of the artist and the video at the same day or one day before similar announcements are planned to be done on JuniorEurovision.tv", stated SVT. РЁРІРµРґСЃРєРѕРµ С‚РµР»РµРІРёРґРµРЅРёРµ SVT РѕРіР»Р°СЃРёР»Рѕ РґР°С‚С‹ Рё РІСЂРµРјСЏ РїРѕРєР°Р·Р° РїСЂРѕРіСЂР°РјРј "Infor Junior Eurovision", РїРѕСЃРІСЏС‰РµРЅРЅС‹С… РїСЂРѕС†РµСЃСЃСѓ РЅР°С†РёРѕРЅР°Р»СЊРЅРѕРіРѕ РѕС‚Р±РѕСЂР°. "РњС‹ РѕРїСѓР±Р»РёРєСѓРµРј РёРјСЏ РЅР°С€РµРіРѕ РїСЂРµРґСЃС‚Р°РІРёС‚РµР»СЏ Рё РІРёРґРµРѕ РІ С‚РѕС‚ Р¶Рµ РґРµРЅСЊ РёР»Рё Р·Р° РѕРґРёРЅ РґРµРЅСЊ РґРѕ С‚РѕРіРѕ РјРѕРјРµРЅС‚Р°, РєРѕРіРґР° РїРѕРґРѕР±РЅС‹Рµ РѕР±СЉСЏРІР»РµРЅРёСЏ РїР»Р°РЅРёСЂСѓСЋС‚СЃСЏ Р±С‹С‚СЊ СЃРґРµР»Р°РЅРЅС‹РјРё РЅР° JuniorEurovision.tv", СЃРѕРѕР±С‰РёР»Рё РІ РЎР’Рў. 09/09 Swedish broadcaster SVT has been pretty much secretive on their selection for Junior Eurovision contest. On 16th of June 19 candidates, selected by two consultants (Lingman & Co and Helges) have met at Golden Hits club in Stockholm for the castings in front of SVT jury headed by Christer Bjorkman and hosted by Richard Herrey. In this auditions they had to perform karaoke cover. On 21st of August 8 candidates chosen back in June have presented their new entries to SVT jury. Candidates have been writing their own songs with help of their agents. 4 of them were left in the race. Even though "schlager general" Christer Bjorkman informed the list of finalists is ready, he referred to SVT press-department that will release it when they deem it better. But now the selection finale seems to be getting closer, the four finalists and their entries will be first presented to public this Saturday, when they will perform on Grona Lund amusement park in Stockholm main stage at 13.00. The professional jury (that includes Christer Bjorkman, Melodifestivalen choreographer Tine Matulessy and former JESC entrant Molly Sanden) will cast their vote in favour of the finalists. The audience in park will cast their votes as well and that will taken in consideration by jury. "If their vote is unanimous, we will have to accept it", says Christer Bjorkman. 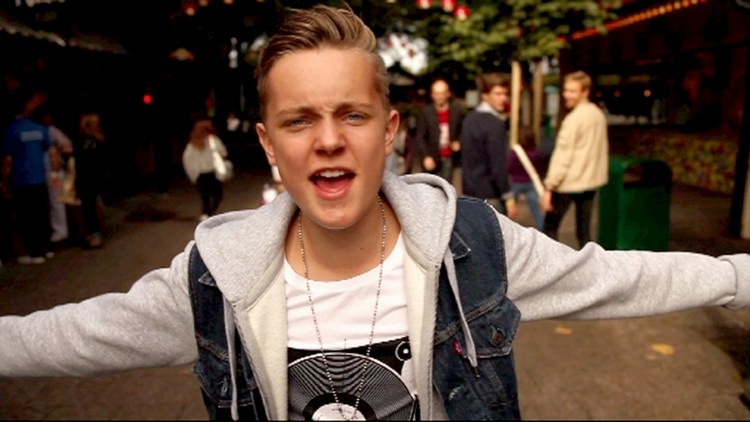 He adds that their task is not only to find the best song for Junior Eurovision, but to discover new talents that will develop into artist for adult Melodifestivalen, as did Molly Sanden. However, the winner will not be revealed by SVT until the program is broadcasted on TV in November. Two half-hour programs will be broadcasted reporting on the whole course of preselection, auditions, and internal semifinal and final. With heads of delegations meeting in October, the name possibly will leak out earlier. 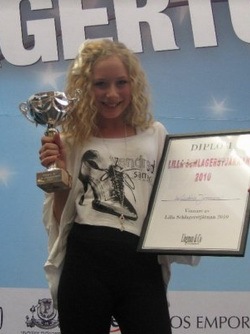 Isa Tengblad, (13, Stockholm), winner of Lilla Schlagerstjarnan 2010, Idrestjarnan 2009, participant of Julias Stjarnskott 2010 and 2009, Talang 2009, Popkorn 2009, also practices sport dancing, watch her videos here. Admission to the concert is 90 SEK or 189 SEK for the Green Card that will allow access to all concerts in the park this season. РЁРІРµРґСЃРєР°СЏ С‚РµР»РµРєРѕРјРїР°РЅРёСЏ SVT РґРѕР»РіРѕ РґРµСЂР¶Р°Р»Р° РІ СЃРµРєСЂРµС‚Рµ С„РѕСЂРјР°С‚ СЃРІРѕРµРіРѕ РѕС‚Р±РѕСЂР° РЅР° Р”РµС‚СЃРєРѕРµ Р•РІСЂРѕРІРёРґРµРЅРёРµ. 16РіРѕ РёСЋРЅСЏ 19 РєР°РЅРґРёРґР°С‚РѕРІ, РѕС‚РѕР±СЂР°РЅРЅС‹Рµ РґРІСѓРјСЏ РєРѕРЅСЃСѓР»СЊС‚Р°РЅС‚Р°РјРё (Lingman & Co Рё Helges) РІСЃС‚СЂРµС‚РёР»РёСЃСЊ РІ РєР»СѓР±Рµ Golden Hits РІ РЎС‚РѕРєРіРѕР»СЊРјРµ РЅР° РєР°СЃС‚РёРЅРіРё РїРµСЂРµРґ Р»РёС†РѕРј Р¶СЋСЂРё РЎР’Рў РІРѕ РіР»Р°РІРµ СЃ РљСЂРёСЃС‚РµСЂРѕРј Р‘СЊРѕСЂРєРјР°РЅРѕРј. РџСЂРѕРІРµР» РєР°СЃС‚РёРЅРіРё Р РёС‡Р°СЂРґ РҐРµСЂСЂРё. РќР° РЅРёС… РєР°РЅРґРёРґР°С‚С‹ РёСЃРїРѕР»РЅРёР»Рё РєР°СЂР°РѕРєРµ РєРѕРІРµСЂ. 21РіРѕ Р°РІРіСѓСЃС‚Р° 8 РєР°РЅРґРёРґР°С‚РѕРІ РїСЂРѕРґРµРјРѕРЅСЃС‚СЂРёСЂРѕРІР°Р»Рё СЃРІРѕРё РЅРѕРјРµСЂР°, РєРѕС‚РѕСЂС‹Рµ РѕРЅРё РіРѕС‚РѕРІРёР»Рё СЃ РёСЋРЅСЏ, Р¶СЋСЂРё SVT. РћРЅРё РЅР°РїРёСЃР°Р»Рё СЃРѕР±СЃС‚РІРµРЅРЅС‹Рµ РїРµСЃРЅРё РїСЂРё РїРѕРјРѕС‰Рё СЃРІРѕРёС… Р°РіРµРЅС‚РѕРІ. 4 РёР· РЅРёС… Р±С‹Р»Рё РѕС‚РѕР±СЂР°РЅС‹ РґР»СЏ СѓС‡Р°СЃС‚РёСЏ РІ СЃР»РµРґСѓСЋС‰РµР№ СЃС‚Р°РґРёРё. Р”Р°Р¶Рµ РЅРµСЃРјРѕС‚СЂСЏ РЅР° С‚Рѕ, С‡С‚Рѕ "С€Р»СЏРіРµСЂ РіРµРЅРµСЂР°Р»" РљСЂРёСЃС‚РµСЂ Р‘СЊРѕСЂРєРјР°РЅ СЃРѕРѕР±С‰РёР», С‡С‚Рѕ СЃРїРёСЃРѕРє С„РёРЅР°Р»РёСЃС‚РѕРІ СѓР¶Рµ РіРѕС‚РѕРІ, РѕРЅ Р·Р°РјРµС‚РёР», С‡С‚Рѕ РїСѓР±Р»РёРєР°С†РёСЏ РµРіРѕ РїСЂРѕРёР·РѕР№РґРµС‚ РєРѕРіРґР° СЌС‚Рѕ РїРѕСЃС‡РёС‚Р°РµС‚ РЅСѓР¶РЅС‹Рј РїСЂРµСЃСЃ-РѕС‚РґРµР» РєР°РЅР°Р»Р°. РћРґРЅР°РєРѕ, СЃРµР№С‡Р°СЃ С„РёРЅР°Р»СЊРЅР°СЏ С‚РѕС‡РєР° СѓР¶Рµ СЃС‚Р°Р»Р° Р±Р»РёР¶Рµ, РїРѕСЃРєРѕР»СЊРєСѓ С‡РµС‚РІРµСЂРѕ С„РёРЅР°Р»РёСЃС‚РѕРІ Р±СѓРґСѓС‚ РїСЂРµРґСЃС‚Р°РІР»РµРЅС‹ РїСѓР±Р»РёРєРµ СѓР¶Рµ РІ СЌС‚Сѓ СЃСѓР±Р±РѕС‚Сѓ, РєРѕРіРґР° РѕРЅРё РІС‹СЃС‚СѓРїСЏС‚ РЅР° РѕСЃРЅРѕРІРЅРѕР№ СЃС†РµРЅРµ РїР°СЂРєР° СЂР°Р·РІР»РµС‡РµРЅРёР№ Grona Lund РІ 13.00. РџСЂРѕС„РµСЃСЃРёРѕРЅР°Р»СЊРЅРѕРµ Р¶СЋСЂРё (РІ РєРѕС‚РѕСЂРѕРµ РІС…РѕРґСЏС‚ РљСЂРёСЃС‚РµСЂ Р‘СЊРѕСЂРєРјР°РЅ, С…РѕСЂРµРѕРіСЂР°С„ РњРµР»РѕРґРёС„РµСЃС‚РёРІР°Р»РµРЅР° РўРёРЅРµ РњР°С‚СѓР»РµСЃСЃРё Рё Р±С‹РІС€Р°СЏ СѓС‡Р°СЃС‚РЅРёС†Р° Р”РµС‚СЃРєРѕРіРѕ Р•РІСЂРѕРІРёРґРµРЅРёСЏ РњРѕР»Р»Рё РЎР°РЅРґРµРЅ) РїСЂРѕРіРѕР»РѕСЃСѓРµС‚ Р·Р° С„РёРЅР°Р»РёСЃС‚РѕРІ. Р—СЂРёС‚РµР»Рё РІ РїР°СЂРєРµ С‚Р°РєР¶Рµ СЃРјРѕРіСѓС‚ РѕС‚РґР°С‚СЊ СЃРІРѕРё РіРѕР»РѕСЃР° РІ РёС… РїРѕР»СЊР·Сѓ, Рё РѕРЅРё Р±СѓРґСѓС‚ РїСЂРёРЅСЏС‚С‹ Р¶СЋСЂРё РІРѕ РІРЅРёРјР°РЅРёРµ. "Р•СЃР»Рё РёС… СЂРµС€РµРЅРёРµ Р±СѓРґРµС‚ РµРґРёРЅРѕРіР»Р°СЃРЅС‹Рј, РјС‹ РґРѕР»Р¶РЅС‹ Р±СѓРґРµРј РїСЂРёРЅСЏС‚СЊ РµРіРѕ", РіРѕРІРѕСЂРёС‚ РљСЂРёСЃС‚РµСЂ Р‘СЊРѕСЂРєРјР°РЅ. РћРЅ РґРѕР±Р°РІР»СЏРµС‚, С‡С‚Рѕ Р·Р°РґР°С‡Р° РЅРµ С‚РѕР»СЊРєРѕ РЅР°Р№С‚Рё Р»СѓС‡С€СѓСЋ РїРµСЃРЅСЋ РґР»СЏ Р”РµС‚СЃРєРѕРіРѕ Р•РІСЂРѕРІРёРґРµРЅРёСЏ, РЅРѕ Рё СЂР°СЃРєСЂС‹С‚СЊ РЅРѕРІС‹Рµ С‚Р°Р»Р°РЅС‚С‹, РєРѕС‚РѕСЂС‹Рµ СЃРјРѕРіСѓС‚ СЂР°Р·РІРёС‚СЊСЃСЏ РІ Р°СЂС‚РёСЃС‚РѕРІ РґР»СЏ РІР·СЂРѕСЃР»РѕРіРѕ РњРµР»РѕРґРёС„РµСЃС‚РёРІР°Р»РµРЅР°, РєР°Рє РњРѕР»Р»Рё РЎР°РЅРґРµРЅ. РћРґРЅР°РєРѕ, РїРѕР±РµРґРёС‚РµР»СЊ РЅРµ Р±СѓРґРµС‚ СЂР°СЃРєСЂС‹С‚ SVT РґРѕ С‚СЂР°РЅСЃР»СЏС†РёРё РїСЂРѕРіСЂР°РјРјС‹ РїРѕ С‚РµР»РµРІРёРґРµРЅРёСЋ РІ РЅРѕСЏР±СЂРµ. Р‘СѓРґСѓС‚ РїРѕРєР°Р·Р°РЅС‹ РґРІРµ РїРѕР»СѓС‡Р°СЃРѕРІС‹Рµ РїСЂРѕРіСЂР°РјРјС‹, СЂР°СЃСЃРєР°Р·С‹РІР°СЋС‰РёРµ Рѕ РІСЃРµР№ РїСЂРѕС†РµРґСѓСЂРµ РѕС‚Р±РѕСЂР°, РїСЂРѕСЃР»СѓС€РёРІР°РЅРёСЏС…, РІРЅСѓС‚СЂРµРЅРЅРµРј РїРѕР»СѓС„РёРЅР°Р»Рµ Рё С„РёРЅР°Р»Рµ. РџРѕСЃРєРѕР»СЊРєСѓ РІСЃС‚СЂРµС‡Р° РіР»Р°РІ РґРµР»РµРіР°С†РёР№ РїСЂРѕР№РґРµС‚ РІ РѕРєС‚СЏР±СЂРµ, РІРµСЂРѕСЏС‚РЅРѕ РёРјСЏ СѓС‡Р°СЃС‚РЅРёРєР° СЃС‚Р°РЅРµС‚ РёР·РІРµСЃС‚РЅРѕ СЂР°РЅРµРµ. 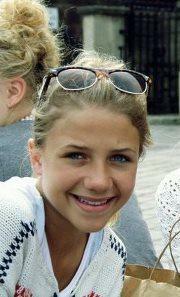 Isa Tengblad, (13, Stockholm), РїРѕР±РµРґРёС‚РµР»СЊРЅРёС†Р° Lilla Schlagerstjarnan 2010, Idrestjarnan 2009, СѓС‡Р°СЃС‚РЅРёС†Р° Julias Stjarnskott 2010 and 2009, Talang 2009, Popkorn 2009, С‚Р°РєР¶Рµ Р·Р°РЅРёРјР°РµС‚СЃСЏ СЃРїРѕСЂС‚РёРІРЅС‹РјРё С‚Р°РЅС†Р°РјРё, СѓРІРёРґРµС‚СЊ РµРµ РІРёРґРµРѕ РјРѕР¶РЅРѕ Р·РґРµСЃСЊ. Р’С…РѕРґ РЅР° РєРѕРЅС†РµСЂС‚ РѕР±РѕР№РґРµС‚СЃСЏ РІ 90 РєСЂРѕРЅ РёР»Рё 189 РєСЂРѕРЅ Р·Р° Р“СЂРёРЅ РљР°СЂС‚Сѓ, РєРѕС‚РѕСЂР°СЏ РїРѕР·РІРѕР»РёС‚ РїРѕСЃРµС‰Р°С‚СЊ РІСЃРµ РєРѕРЅС†РµСЂС‚С‹ РІ РїР°СЂРєРµ РІ СЌС‚РѕРј СЃРµР·РѕРЅРµ. 21/08 We finally expect to find out the final line-up of the Swedish preselection soon. On Sunday 8 candidates have presented the entries they have been preparing since June to SVT jury headed by Christer Bjorkman and 4 of them were left in the race. Р’ Р±Р»РёР¶Р°Р№С€РµРµ РІСЂРµРјСЏ РјС‹ РЅР°РґРµРµРјСЃСЏ СѓР·РЅР°С‚СЊ РѕРєРѕРЅС‡Р°С‚РµР»СЊРЅС‹Р№ СЃРѕСЃС‚Р°РІ СѓС‡Р°СЃС‚РЅРёРєРѕРІ С€РІРµРґСЃРєРѕРіРѕ РѕС‚Р±РѕСЂР°. Р’ РІРѕСЃРєСЂРµСЃРµРЅСЊРµ 8 РєР°РЅРґРёРґР°С‚РѕРІ РїСЂРѕРґРµРјРѕРЅСЃС‚СЂРёСЂРѕРІР°Р»Рё СЃРІРѕРё РЅРѕРјРµСЂР°, РєРѕС‚РѕСЂС‹Рµ РѕРЅРё РіРѕС‚РѕРІРёР»Рё СЃ РёСЋРЅСЏ, Р¶СЋСЂРё SVT РІРѕ РіР»Р°РІРµ СЃ РљСЂРёСЃС‚РµСЂРѕРј Р‘СЊРѕСЂРєРјР°РЅРѕРј, Рё 4 РёР· РЅРёС… Р±С‹Р»Рё РѕС‚РѕР±СЂР°РЅС‹ РґР»СЏ СѓС‡Р°СЃС‚РёСЏ РІ СЃР»РµРґСѓСЋС‰РµР№ СЃС‚Р°РґРёРё. 15/06 Tomorrow, on Thursday, castings for Swedish preselection will be held. As earlier reported, 20 candidates, selected by two consultants (10 of them chosen by Lingman & Co, who produced Eric Saade and Sanden sisters and 10 more by Helges) will meet at Golden Hits club in Stockholm for the castings in front of SVT jury headed by Christer Bjorkman and hosted by Richard Herrey. 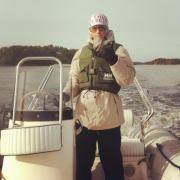 Update: The report is available on blog of Lasse Lingman. Without revealing much details, producer informes that there will be 8 artists chosen from 19 attending castings and he certainly hopes that it will be Lingman artist representing Sweden in Armenia. 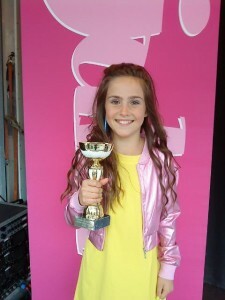 He writes that only one of participants does not have big experience on her side, while other entrants all have taken part in some music contests or festivals such as Stjarnskott, Idrestjarnor, Schlagerstjarnor, Helges Talangtavlingar in Gavle. He mentions few names of boys taking part in castings like Oliver Eskilsson, Omar Rutberg, Albin Palmgren, Charlie Ebert. From Helges only one name is revealed for now: Linn Jans. The list of finalists will be revealed shortly by SVT. Р—Р°РІС‚СЂР°, РІ С‡РµС‚РІРµСЂРі СЃРѕСЃС‚РѕСЏС‚СЃСЏ РєР°СЃС‚РёРЅРіРё РЅР° СѓС‡Р°СЃС‚РёРµ РІ С€РІРµРґСЃРєРѕРј РѕС‚Р±РѕСЂРµ. РљР°Рє РјС‹ СЃРѕРѕР±С‰Р°Р»Рё СЂР°РЅРµРµ, 20 РєР°РЅРґРёРґР°С‚РѕРІ, РѕС‚РѕР±СЂР°РЅРЅС‹С… РґРІСѓРјСЏ РєРѕРЅСЃСѓР»СЊС‚Р°РЅС‚Р°РјРё (10 РёР· РЅРёС… РІС‹Р±СЂР°РЅС‹ Lingman & Co, РєРѕС‚РѕСЂС‹Рµ РїСЂРѕРґСЋСЃРёСЂРѕРІР°Р»Рё Р­СЂРёРєР° РЎР°Р°РґРµ Рё СЃРµСЃС‚РµСЂ РЎР°РЅРґРµРЅ Рё РµС‰Рµ 10 Helges) РІСЃС‚СЂРµС‚СЏС‚СЃСЏ РІ РєР»СѓР±Рµ Golden Hits РІ РЎС‚РѕРєРіРѕР»СЊРјРµ РЅР° РєР°СЃС‚РёРЅРіРµ С€РѕСѓ, РїРµСЂРµРґ Р»РёС†РѕРј Р¶СЋСЂРё РЎР’Рў, РєРѕС‚РѕСЂРѕРµ РІРѕР·РіР»Р°РІРёС‚ РљСЂРёСЃС‚РµСЂ Р‘СЊРѕСЂРєРјР°РЅ, Р° РїСЂРѕРІРµРґРµС‚ РѕС‚Р±РѕСЂ Р РёС‡Р°СЂРґ РҐРµСЂСЂРё. РћР±РЅРѕРІР»РµРЅРёРµ: РѕС‚С‡РµС‚ РѕР± РѕС‚Р±РѕСЂРµ РґРѕСЃС‚СѓРїРµРЅ РЅР° Р±Р»РѕРіРµ Р›Р°СЃСЃРµ Р›РёРЅРіРјР°РЅР°. Р‘РµР· СЃРѕРѕР±С‰РµРЅРёСЏ РїРѕРґСЂРѕР±РЅС‹С… РґРµС‚Р°Р»РµР№, РїСЂРѕРґСЋСЃРµСЂ СЂР°СЃСЃРєР°Р·С‹РІР°РµС‚ Рѕ С‚РѕРј, С‡С‚Рѕ РёР· 19 Р°СЂС‚РёСЃС‚РѕРІ СѓС‡Р°СЃС‚РІРѕРІР°РІС€РёС… РІ РєР°СЃС‚РёРЅРіР°С… РІ СЃР»РµРґСѓСЋС‰РёР№ СЌС‚Р°Рї РїСЂРѕР№РґСѓС‚ 8, Рё РѕРЅ, РєРѕРЅРµС‡РЅРѕ Р¶Рµ, РЅР°РґРµРµС‚СЃСЏ, С‡С‚Рѕ РґР»СЏ РїСЂРµРґСЃС‚Р°РІР»РµРЅРёСЏ РЁРІРµС†РёРё РІ РђСЂРјРµРЅРёРё Р±СѓРґРµС‚ РІС‹Р±СЂР°РЅ Р°СЂС‚РёСЃС‚ РѕС‚ РєРѕРјР°РЅРґС‹ Р›РёРЅРіРјР°РЅ. РћРЅ С‚Р°РєР¶Рµ СѓРїРѕРјРёРЅР°РµС‚ Рѕ С‚РѕРј, С‡С‚Рѕ С‚РѕР»СЊРєРѕ Сѓ РѕРґРЅРѕР№ РёР· СѓС‡Р°СЃС‚РЅРёС† РєР°СЃС‚РёРЅРіР° РЅРµ Р±С‹Р»Рѕ Р±РѕР»СЊС€РѕРіРѕ РѕРїС‹С‚Р°, РІ С‚Рѕ РІСЂРµРјСЏ РєР°Рє Р±РѕР»СЊС€РёРЅСЃС‚РІРѕ СѓР¶Рµ РїСЂРёРЅРёРјР°Р»Рё СѓС‡Р°СЃС‚РёРµ РІ С‚Р°РєРёС… РєРѕРЅРєСѓСЂСЃР°С… Рё С„РµСЃС‚РёРІР°Р»СЏС… РєР°Рє Stjarnskott, Idrestjarnor, Schlagerstjarnor, Helges Talangtavlingar РІ Gavle. РћРЅ СѓРїРѕРјРёРЅР°РµС‚ РЅРµСЃРєРѕР»СЊРєРѕ РёРјРµРЅ РјР°Р»СЊС‡РёРєРѕРІ, СѓС‡Р°СЃС‚РІРѕРІР°РІС€РёС… РІ РєР°СЃС‚РёРЅРіР°С…, С‚Р°РєРёС… РєР°Рє Oliver Eskilsson, Omar Rutberg, Albin Palmgren, Charlie Ebert. Р�Р· Helges РёР·РІРµСЃС‚РЅРѕ С‚РѕР»СЊРєРѕ РѕРґРЅРѕ РёРјСЏ: Linn Jans. РЎРїРёСЃРѕРє С„РёРЅР°Р»РёСЃС‚РѕРІ Р±СѓРґРµС‚ РѕРїСѓР±Р»РёРєРѕРІР°РЅ SVT РІ Р±Р»РёР¶Р°Р№С€РёРµ РґРЅРё. 07/06 Televized preselection for Swedish SVT. As broadcaster has informed us, they plan to have 2 preselection shows aired sometime in September-October. The winner will be chosen by a jury of professionals and children. The selection will be restricted, as SVT will base the choice of participants on the advice of two consultants, who will be able to submit to SVT their unlimited proposals and on 16th of June castings for the shows will be held. РЁРІРµРґСЃРєРёР№ С‚РµР»РµРєР°РЅР°Р» SVT РїСЂРѕРІРµРґРµС‚ С‚РµР»РµРІРёР·РёРѕРЅРЅС‹Р№ РѕС‚Р±РѕСЂ РЅР° Р”РµС‚СЃРєРѕРµ Р•РІСЂРѕРІРёРґРµРЅРёРµ. РљР°Рє СЃРѕРѕР±С‰РёР»Рё РЅР°Рј РЅР° С‚РµР»РµРєР°РЅР°Р»Рµ, РїР»Р°РЅРёСЂСѓРµС‚СЃСЏ РїСЂРѕРІРµРґРµРЅРёРµ 2С… РѕС‚Р±РѕСЂРѕС‡РЅС‹С… С€РѕСѓ, РєРѕС‚РѕСЂС‹Рµ Р±СѓРґСѓС‚ РїРѕРєР°Р·Р°РЅС‹ РіРґРµ-С‚Рѕ РІ СЃРµРЅС‚СЏР±СЂРµ-РѕРєС‚СЏР±СЂРµ. РџРѕР±РµРґРёС‚РµР»СЊ Р±СѓРґРµС‚ РІС‹Р±СЂР°РЅ СЂРµС€РµРЅРёРµРј Р¶СЋСЂРё, РІ РєРѕС‚РѕСЂРѕРµ РІРѕР№РґСѓС‚ РїСЂРѕС„РµСЃСЃРёРѕРЅР°Р»С‹ Рё РґРµС‚Рё. РћС‚Р±РѕСЂ Р±СѓРґРµС‚ РѕРіСЂР°РЅРёС‡РµРЅРЅС‹Рј, РїРѕСЃРєРѕР»СЊРєСѓ SVT РѕСЃРЅРѕРІС‹РІР°РµС‚ СЃРІРѕР№ РІС‹Р±РѕСЂ СѓС‡Р°СЃС‚РЅРёРєРѕРІ РЅР° СЃРѕРІРµС‚Рµ РґРІСѓС… РєРѕРЅСЃСѓР»СЊС‚Р°РЅС‚РѕРІ , РєРѕС‚РѕСЂС‹Рµ СЃРјРѕРіСѓС‚ РїРѕРґР°С‚СЊ РІ SVT РЅРµРѕРіСЂР°РЅРёС‡РµРЅРЅРѕРµ РєРѕР»РёС‡РµСЃС‚РІРѕ РїСЂРµРґР»РѕР¶РµРЅРёР№, Рё 16РіРѕ РёСЋРЅСЏ РїСЂРѕР№РґРµС‚ РєР°СЃС‚РёРЅРі РЅР° СѓС‡Р°СЃС‚РёРµ РІ С€РѕСѓ..